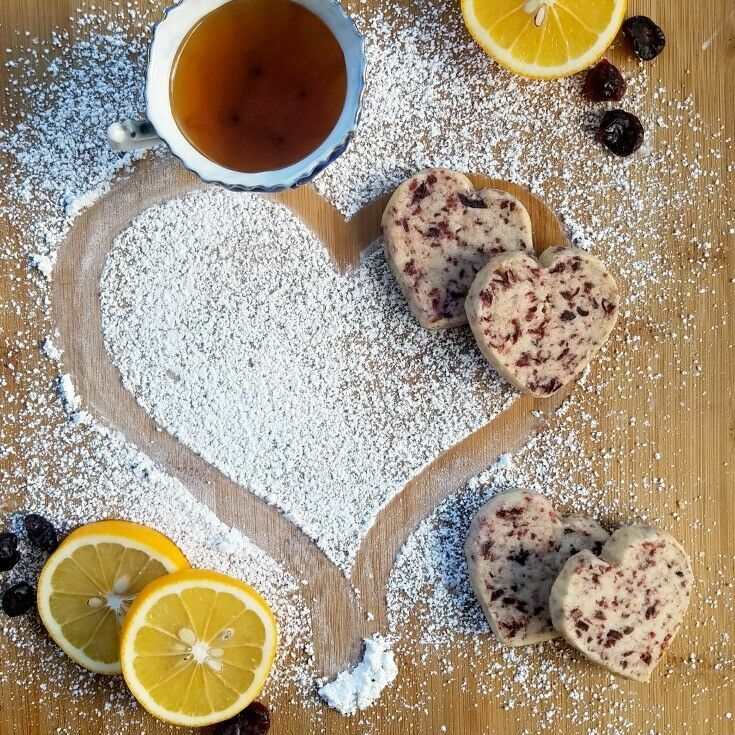 Surprise your Sweetheart with some homemade sunshine! 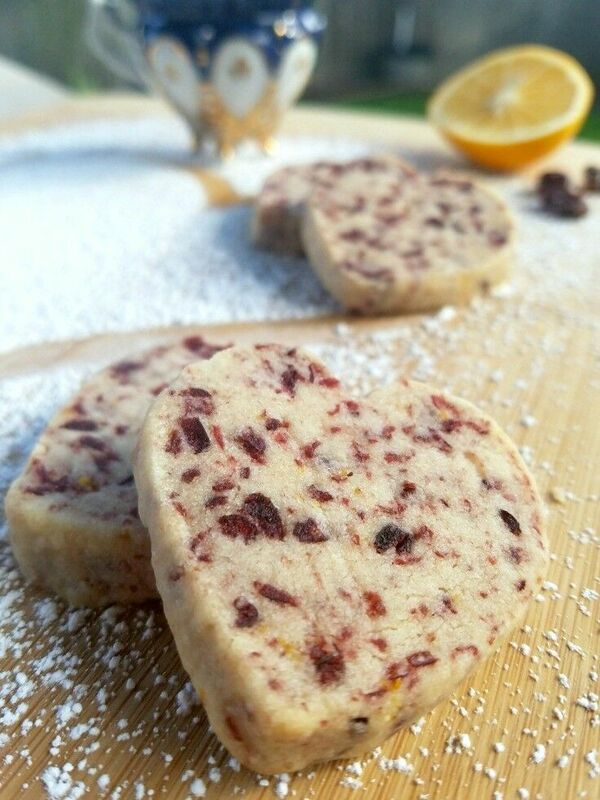 These Meyer Lemon & Cranberry Shortbread Cookies are perfect for Valentine’s Day (or any day!). 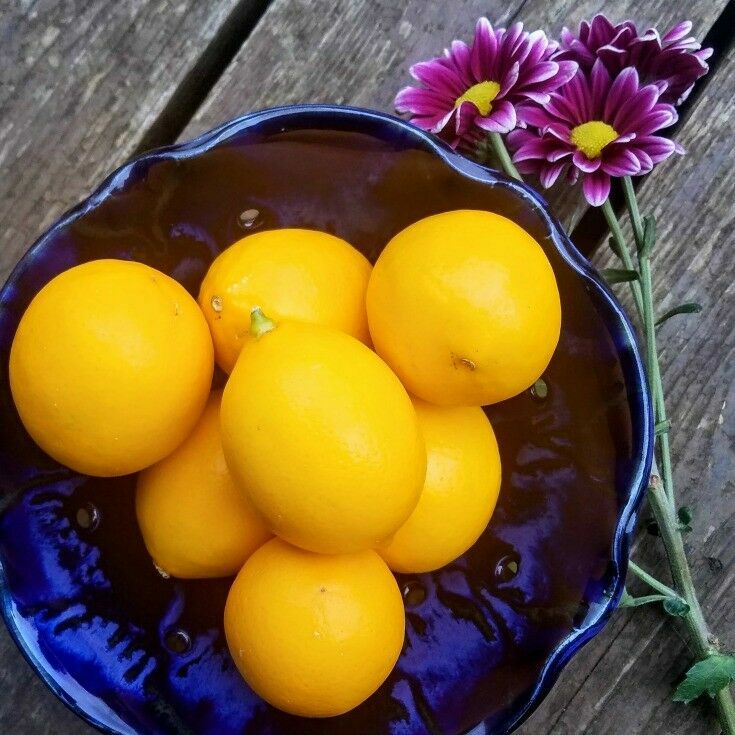 Brief and fleeting, Meyer lemon season is anticipated by cooks and bakers everywhere. 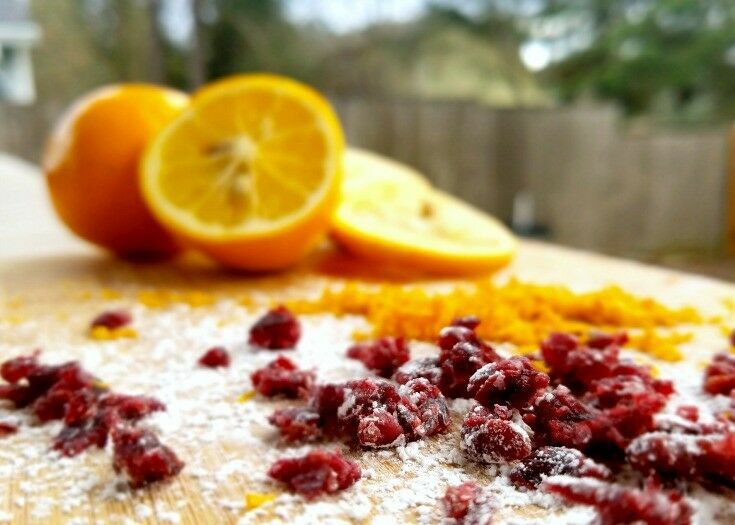 But what makes Meyer lemons so special? Thought to be a cross between a regular lemon and a mandarin orange, Meyer lemons bring a bright, naturally sweet, slightly tart punch to everything they touch. In addition to being sweeter than a regular lemon, they are generally smaller, with a scent noses more civilized than mine describe as “a spicy bergamot fragrance that tastes and smells more like an herb or a spice.” Meyer lemons start arriving in US stores around the end of November and disappear by late March. Meyer lemons were first introduced to the US in 1908 by agricultural explorer (LOVE that job title!) Frank Meyer of the US Department of Agriculture. 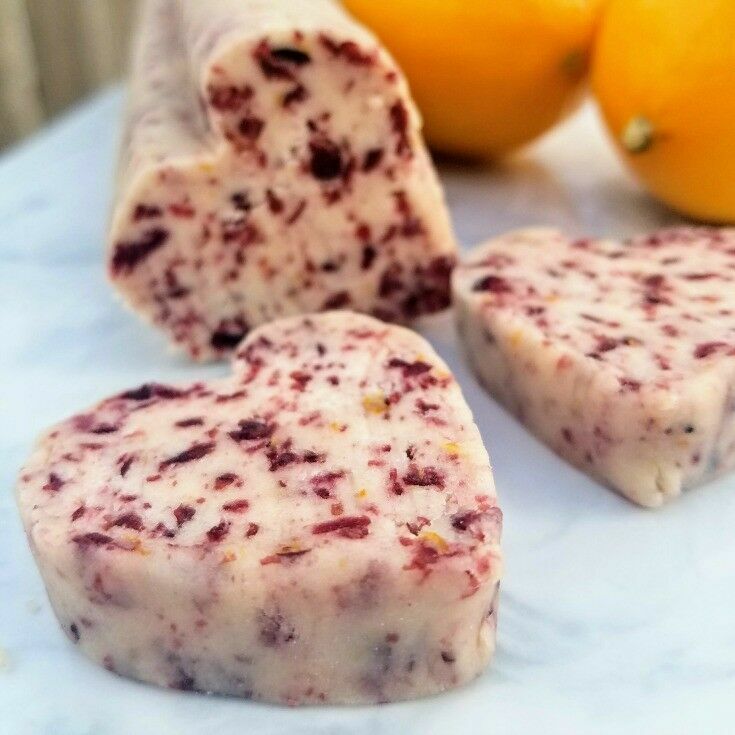 It seems Frank brought a sample home with him from a trip to China, where they are often grown ornamentally; however, Meyer lemons didn’t take off in culinary circles until the late 1990’s, when celebrity chefs “discovered” them and made them popular with their audiences. Combine flour, cornstarch, and salt in a medium bowl and set aside. 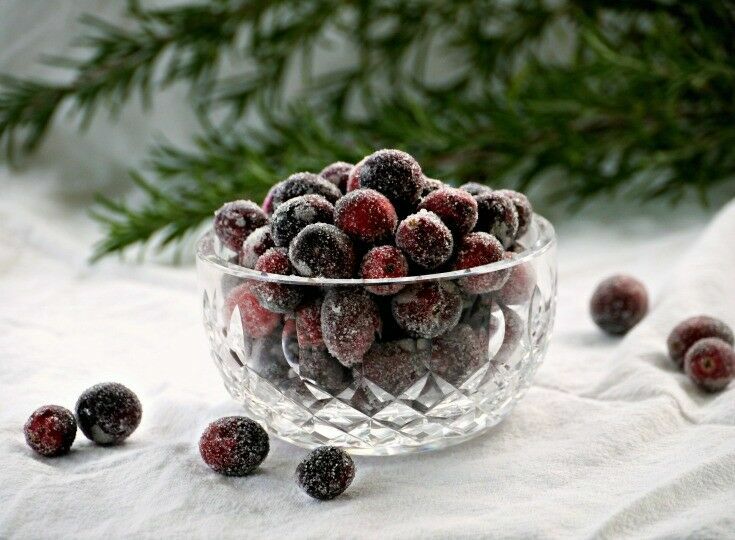 In a food processor or blender jar, pulse cranberries and 1/4 cup powdered sugar together until cranberries are about the size of coarsely chopped nuts. The powdered sugar will keep them from getting too clumpy, but don't pulse too long or you will have puree. 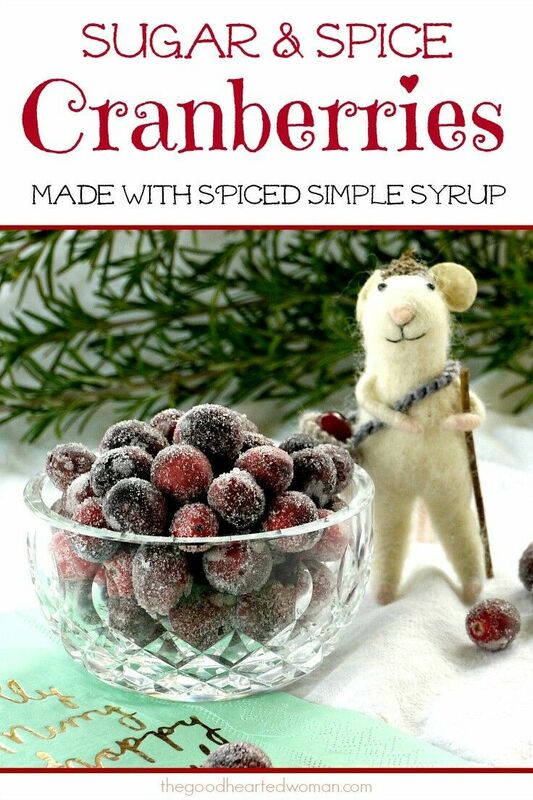 Set chopped cranberries aside. With an electric mixer, beat butter on high until it is very light and fluffy - at least 5 minutes. Beat in remaining 3/4 cup powdered sugar and beat until vey smooth and fluffy. Add vanilla and zest and mix to thoroughly combine. Add flour mixture and mix on low just until dough forms a ball on comes away from the sides of the mixing bowl. 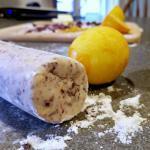 Remove dough from bowl and form into two logs about 1 1/4" - 1 1/2" in diameter. (Tip: Two shorter logs are much easier to work with than one long log.) Chill 1 hour. 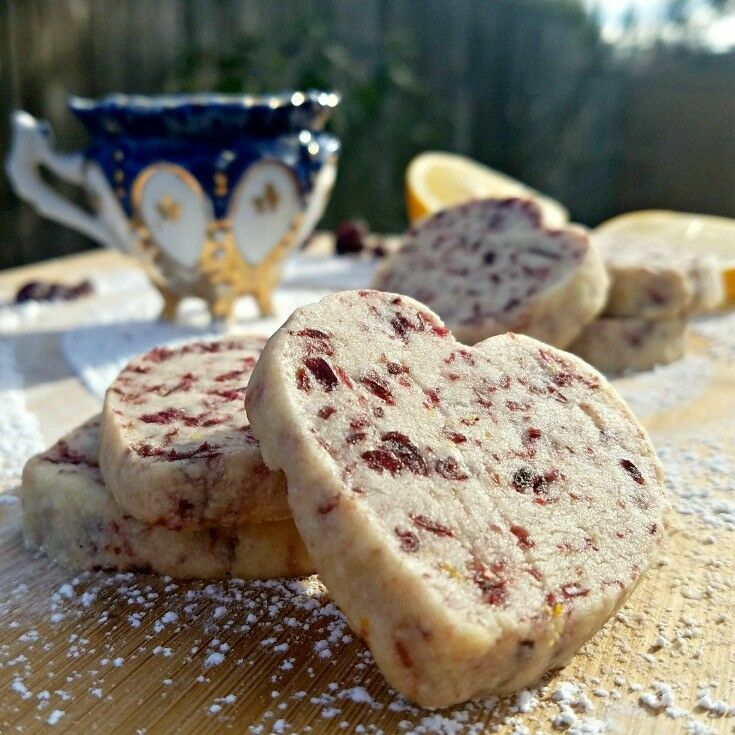 If you just want to keep things simple and make shortbread rounds, leave the dough-logs in the fridge for two hours and proceed to "Baking" steps. 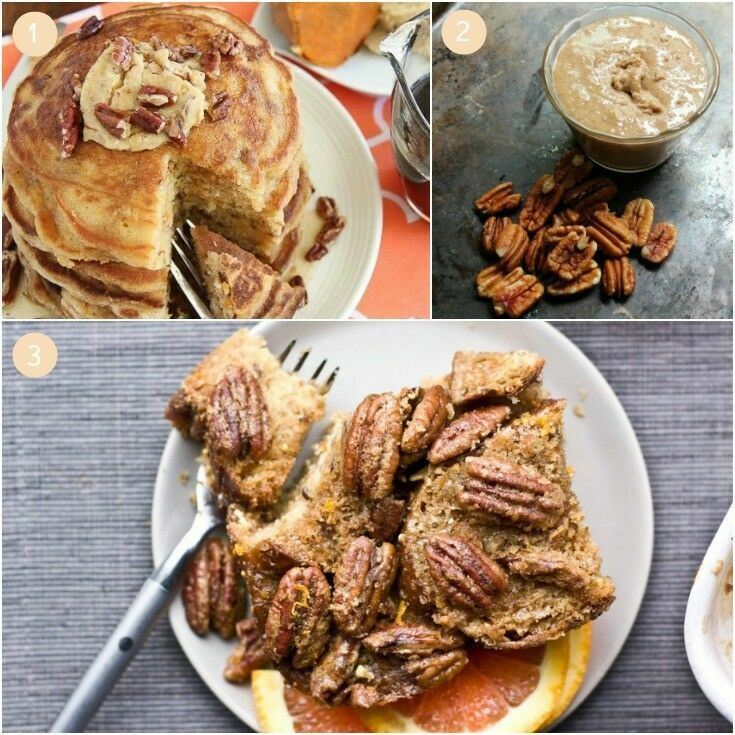 After one hour, remove prepared dough logs from refrigerator. 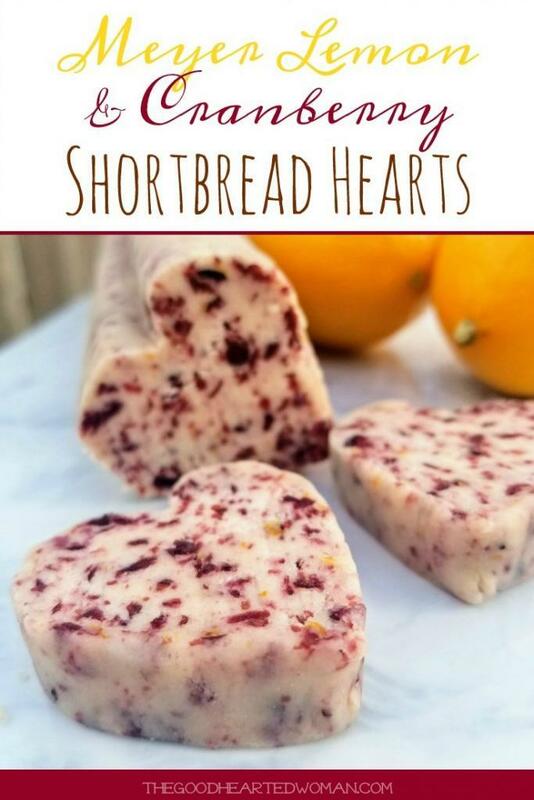 With the shortbread dough still in plastic wrap, shape the bottom point of the heart by resting the log on a cutting board and using the back of a spatula perpendicularly against a cutting board to form a point. (You will need to rotate the log from one side to the other a couple of times to get it all even.) When you have the bottom point the way you want it, use a large skewer or chopstick to form the indentation opposite the point. I spend a little time hand-shaping the curves so they look like they should. If your heart doesn't look the way you want it, just round it up and pop it back into the fridge for about 10 minutes; then you can get a fresh start. 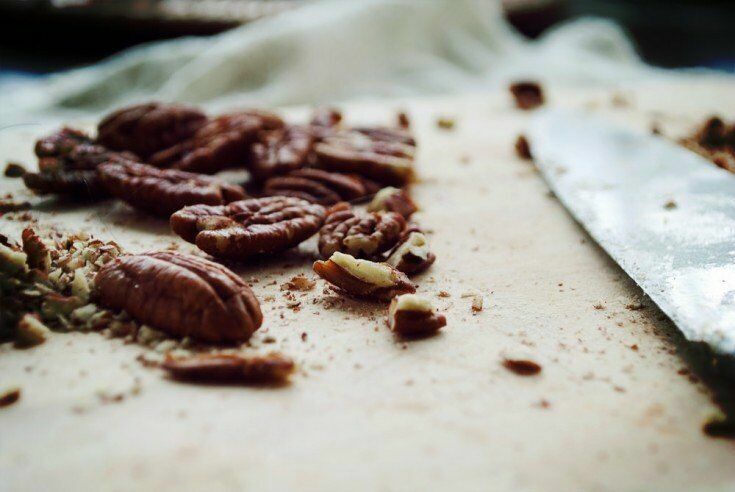 Once your Heart-Log is shaped the way you want, pop it back into the fridge for at least another hour before slicing. Preheat oven to 350° F [175° C]. 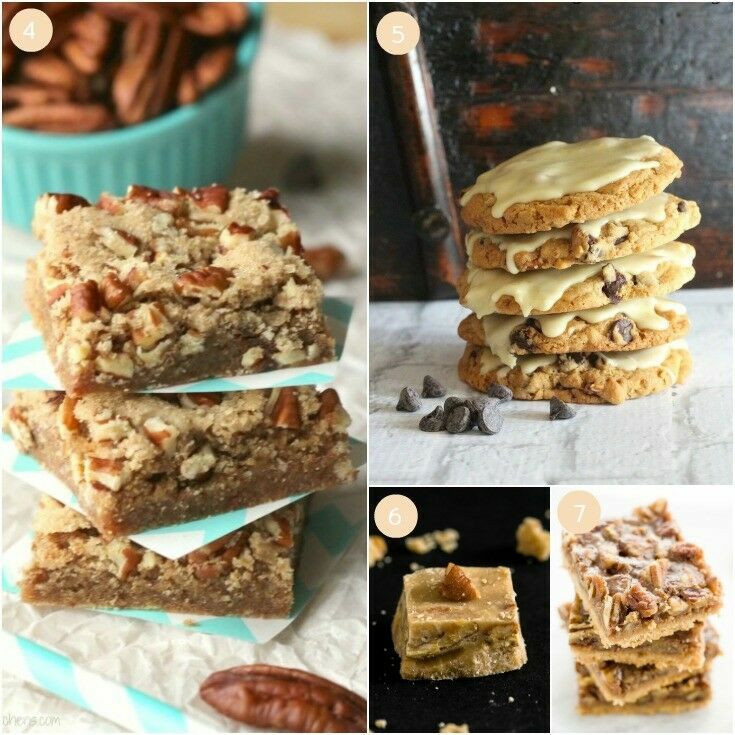 Using a clean, sharp knife, slice cookies 1/4" - 3/8" thick and place on a cookie sheet lined with parchment paper or a Silpat mat. 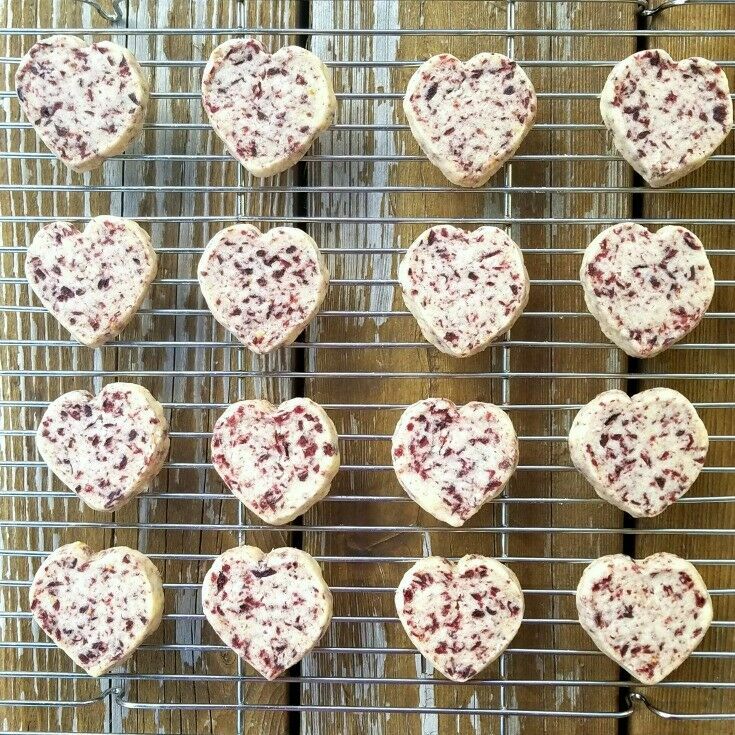 Arrange shortbread slices on baking sheet about 3/4" apart. 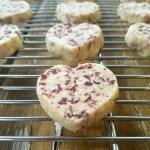 Bake in preheated oven 8-9 minutes, or until just firm. Watch carefully, and do not allow edges to brown. One of the keys to this recipe is the whipped butter. Make sure that your your butter is at room temperature then put it into the mixer bowl, start your mixer and *walk away. * I cream the butter for no less than 5 minutes before adding anything else. 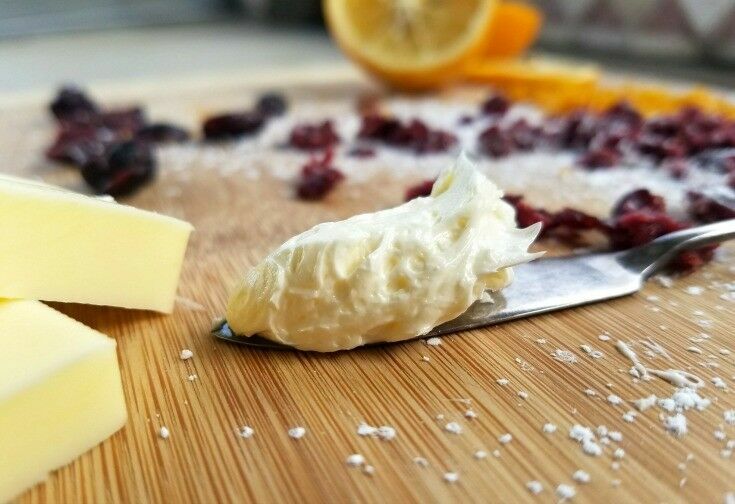 The butter should be very pale before you move on to the next step. 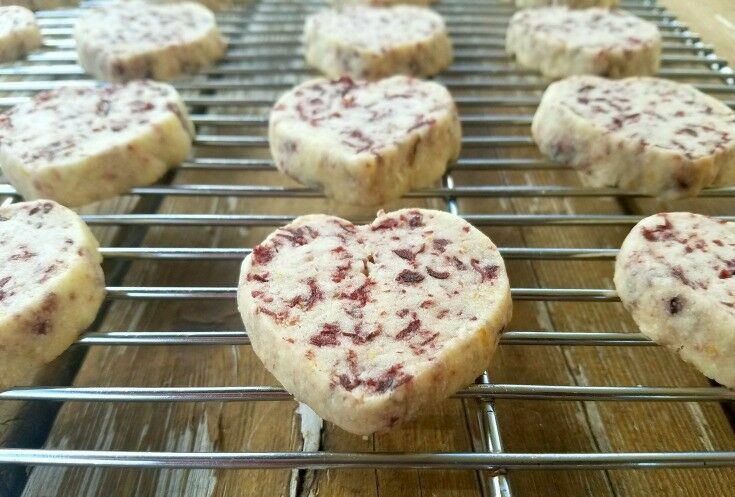 Pairing Notes: These sweet little shortbread tea cookies pair especially well with a cup of Earl Grey! 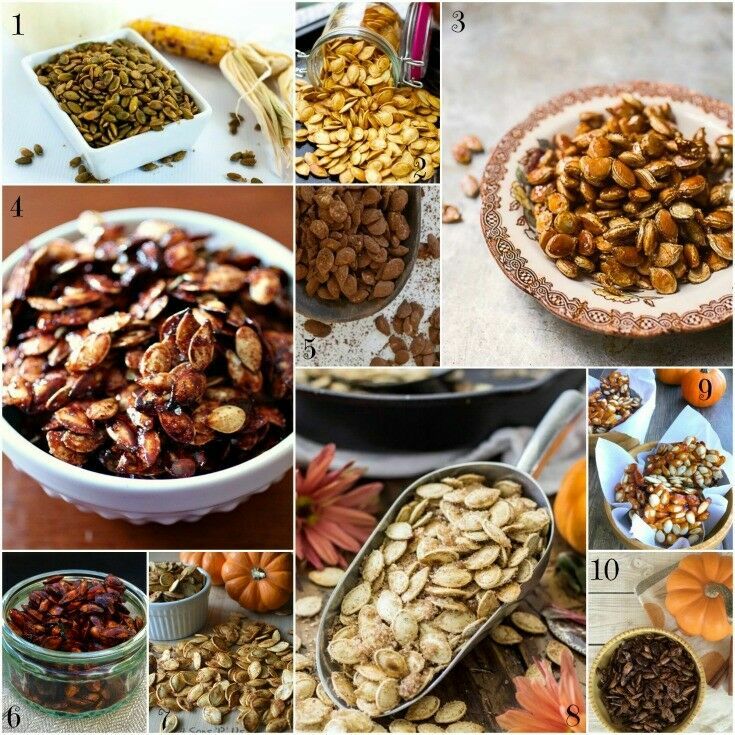 When the pumpkin is carved, there is another memory to make – Roasted Pumpkin Seeds!! Pumpkin carving was always a BIG night for me. Dad would give me a piece of paper to work out the details on – mouth, eyes, nose – and then we would trace my drawing onto the front of the pumpkin. I was four or five in this picture, and I have no idea what motivated me to draw a beard on my Jack-o-lantern, but there it is. 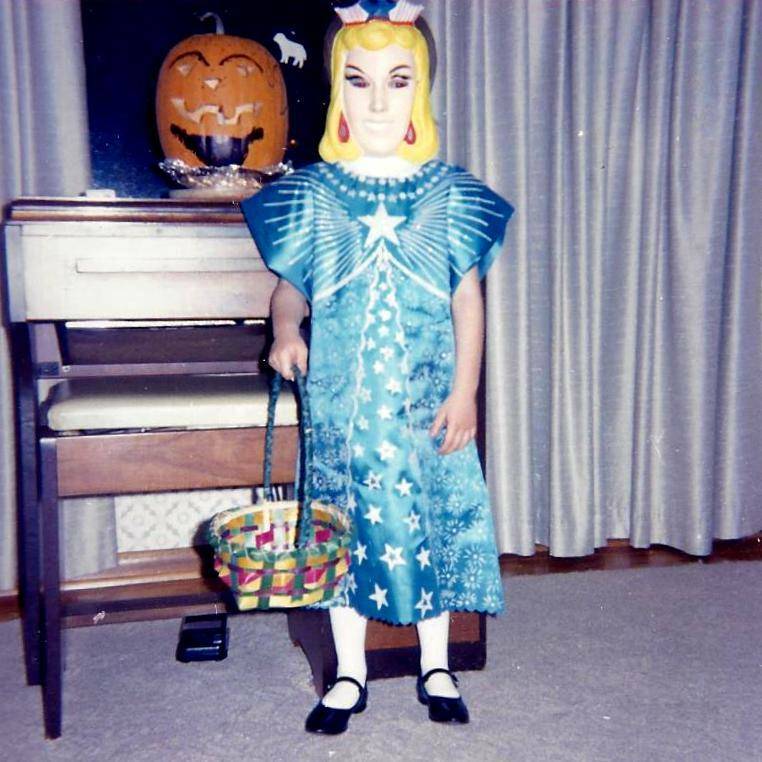 The scariest thing about Halloween “back in the day”? Trying to breathe under those masks! I remember being so excited when our Jack-o-lantern was done! Mom would put some aluminum foil in the bottom of the pumpkin and set a white candle inside, and Dad used a long-handled match from our fireplace to reach down in and light the candle. Then he put the lid on and dimmed the lights and we would all stand back and watch the candle dance inside. That was the best, best, best part of Halloween. The trick-or-treating was fine, and the candy was great too, but that moment when we lit our pumpkin – that was Magic! Nowadays, a lot folks are painting their pumpkins or covering them with glitter and such, but not me. As long as I can manage it, there will be a Jack-o-Lantern on my porch – that little light shining out and the scent of warm pumpkin filling the air. When the pumpkin is carved and lit, there is another memory to make: Pumpkin Seeds!! 2. Get a big bowl and fill it with water. 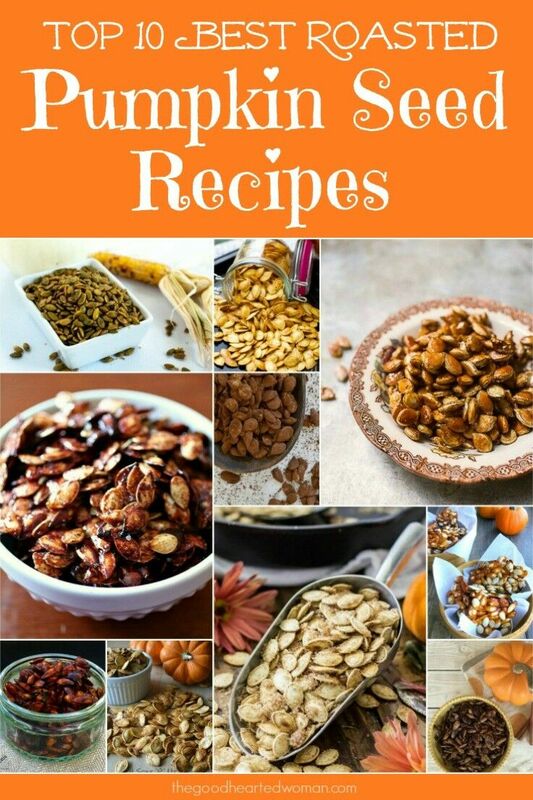 Put the seeds in, pulp and all, and start squishing them around with your hands. The pulp will sink to the bottom, and the seeds will rise to the top. Easy peasy. Do you have a favorite Halloween memory? Please share it in the comments below! 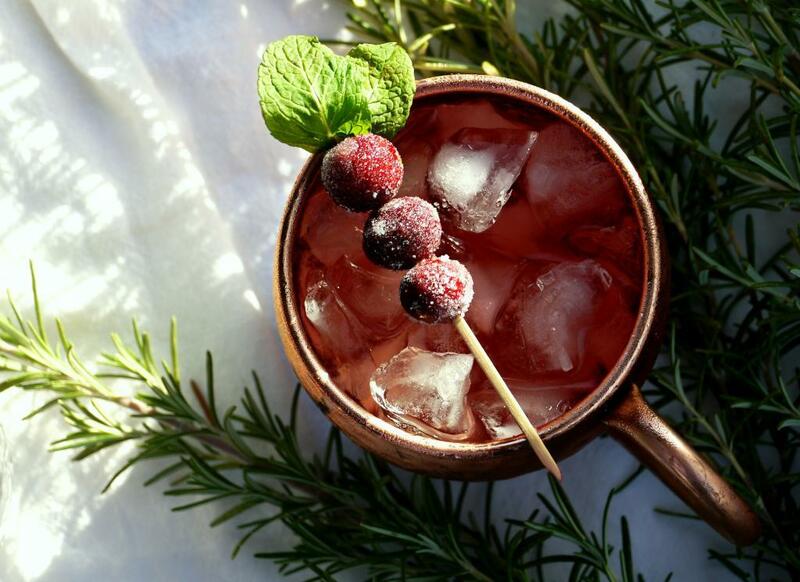 Celebrate with a Blushin’ Russian Soda – a sweet, refreshing cranberry and ginger infused libation that everyone can enjoy! 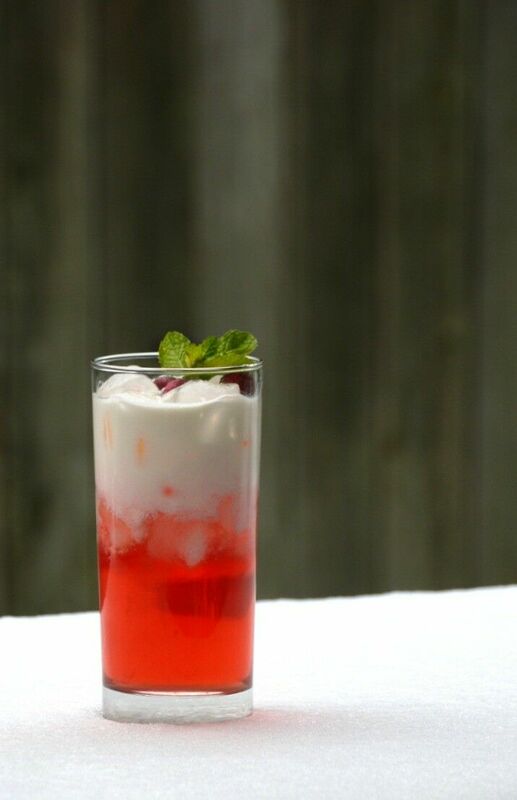 A perfectly refreshing cocktail for wintertime or any time, this Blushin’ Russian is a beautiful, delicious twist on a traditional Italian Soda. You can easily mix it as a cocktail or a an alcohol-free mocktail, so it makes a great option for imbibers and teetotalers alike. 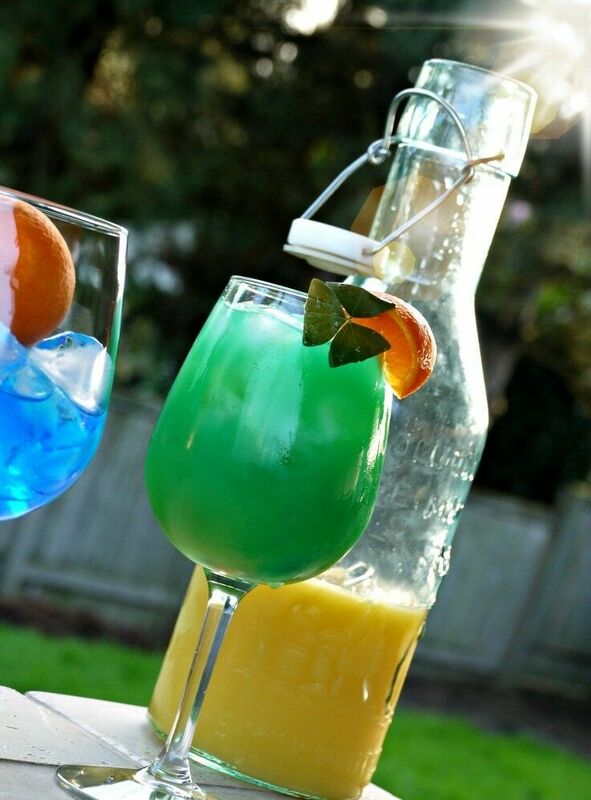 Fill a tall glass with ice. 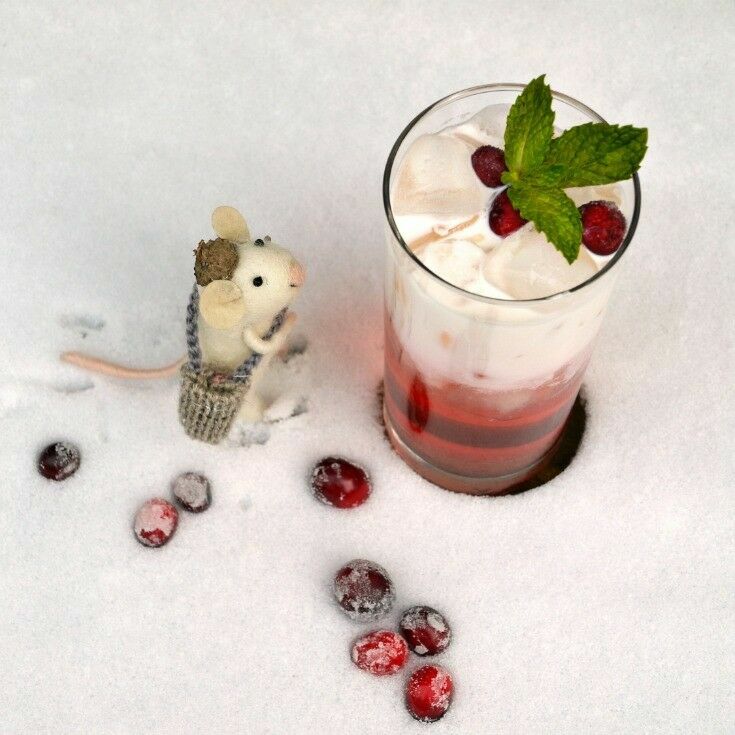 Pour cranberry ginger ale and simple syrup into glass. If you are using vodka, add it also. Stir gently, and then pour in half-and-half. 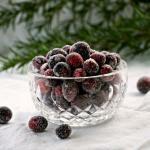 Garnish with mint leaves and sugared cranberries. 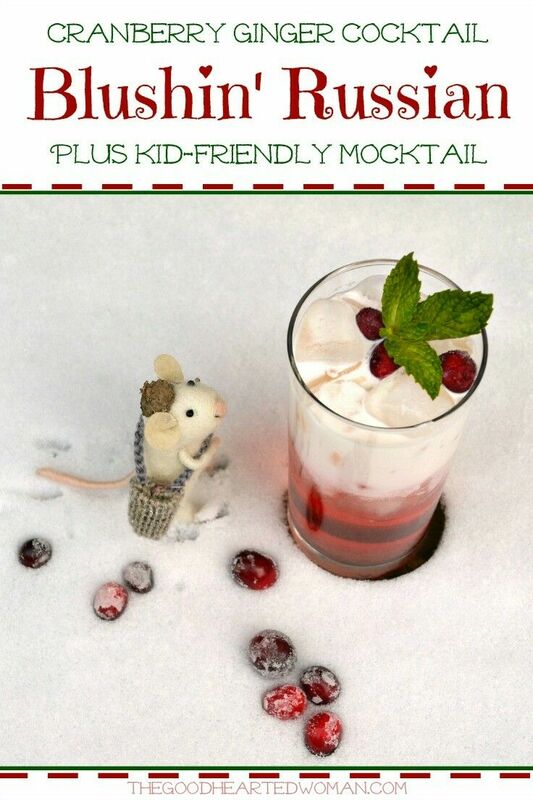 **If you can't find cranberry ginger ale, you can use regular ginger ale and 1 ounce of cranberry juice. *** You can use heavy cream, but I prefer to use half-and-half for a lighter drink. 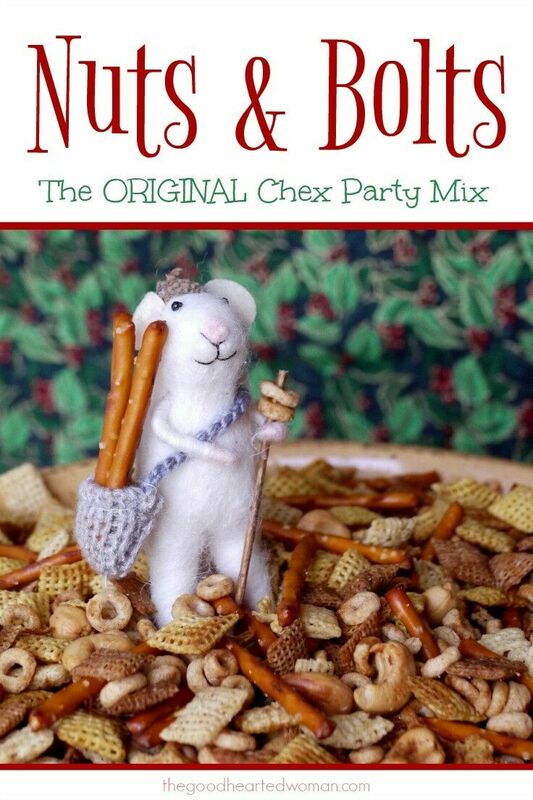 Long before you could buy Chex Mix seasoning packets at the grocery store, there was Nuts & Bolts – the Original Chex Party Mix. 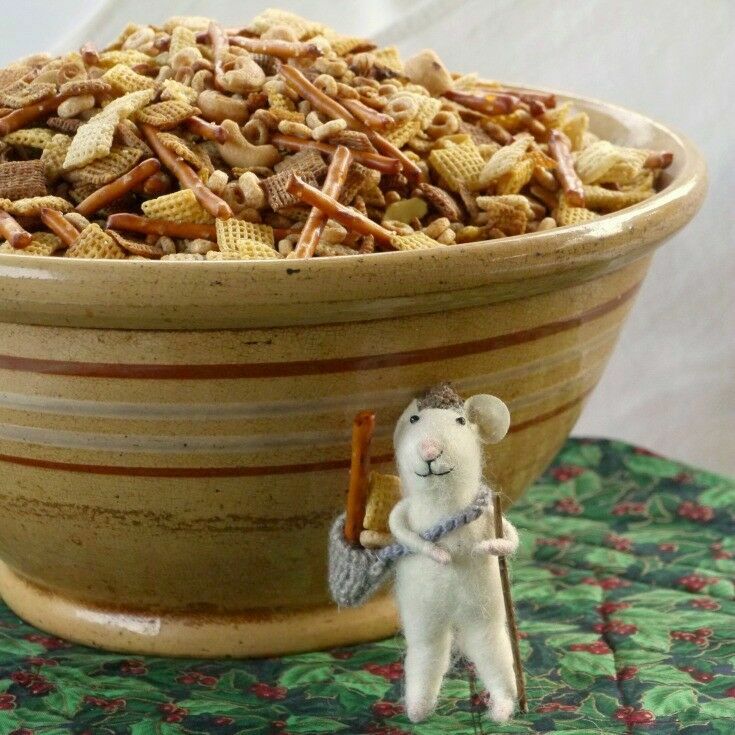 Every year at Christmastime back when I was a child (just after the dinosaurs died) my mother’s best friend Mrs Houston would make a giant batch of Nuts & Bolts and give our family a big bag of it. The problem with that was, it didn’t matter how big the bag was – there was never enough. 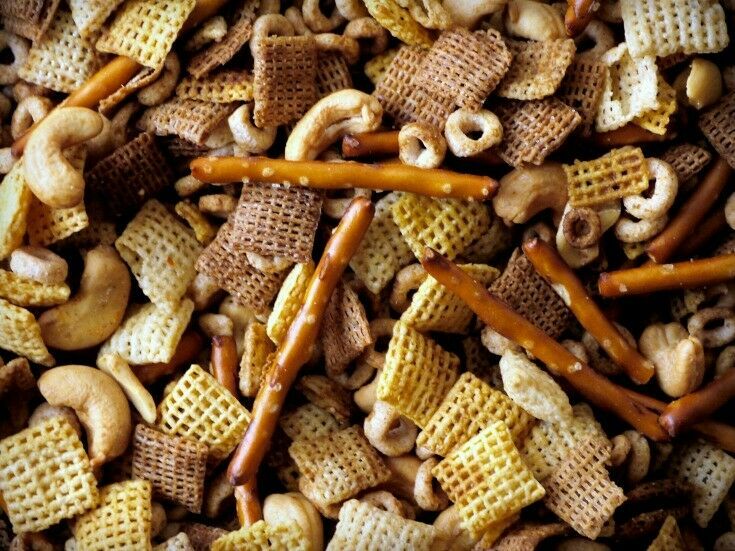 Spicy, smokey, and perfectly seasoned, I could have crunched through handful after handful for breakfast, lunch, and late night snack and still not have had enough. 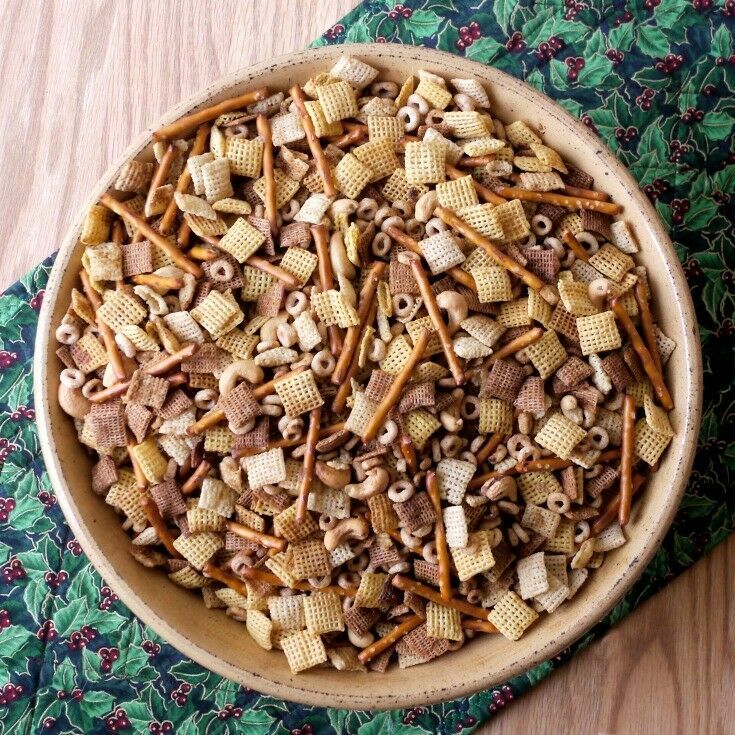 Later, as a young married, I got a hankering for my favorite holiday treat, so I made “Chex Mix” with the packet stuff. Once. It didn’t even compare: it was like jonesing for a Dark Chocolate Raspberry 12-Layer Torte and getting a Hostess cupcake and a jar of jam instead. Luckily, Mrs Houston was still living at the time, so I asked her for the recipe and wrote it down on a 3×5 card, which I guarded like Charlie’s golden ticket. Unfortunately, we had a few bumpy years, and amid all the moving, my little golden ticket got lost in the frey. I didn’t discover the disappearance, of course, until I got a bug to make Nuts & Bolts a few years ago; at which time I spent a couple of weeks silently panicking while I tried to piece together the ingredient list from fuzzy memories of batches past. This story has a happy ending though. After some trial and error, Mrs Houston’s was recipe at last reclaimed, and now my holidays (and my hands) are once again filled with smoky, spicy, savory, snacking goodness. 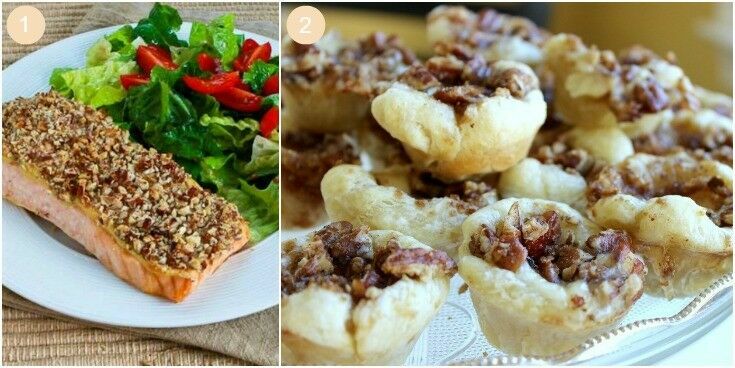 Take out the extra rack in your oven if you have one, and put the remaining rack on the bottom or next to the bottom level. Preheat oven to 225 degrees. 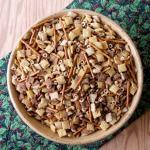 In a large paper grocery bag, mix cereals, pretzels and nuts together and set aside. In a saucepan over medium heat, melt butter and oil together, and then blend in Worcestershire Sauce, Liquid Smoke, and hot sauce. Slowly pour over mixture in the bag, shaking as you do to cover everything. 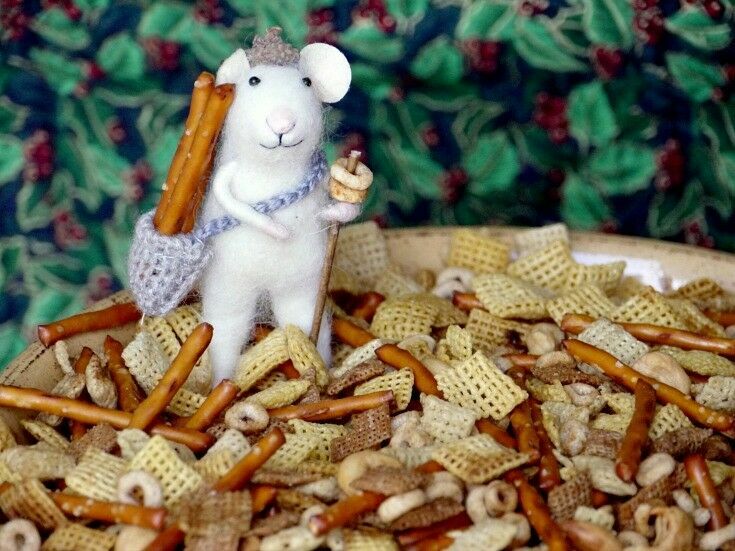 Sprinkle seasoned salt over everything, shut the top of the bag, and shake the heck out of it. Place mixture in roaster pan into oven. Bake for 45 minutes. 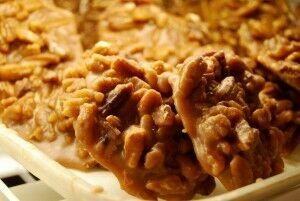 Using oven mitts, carefully pour mixture into the large paper bag and shake a couple of times. Return mixture to roaster pan and return to oven. 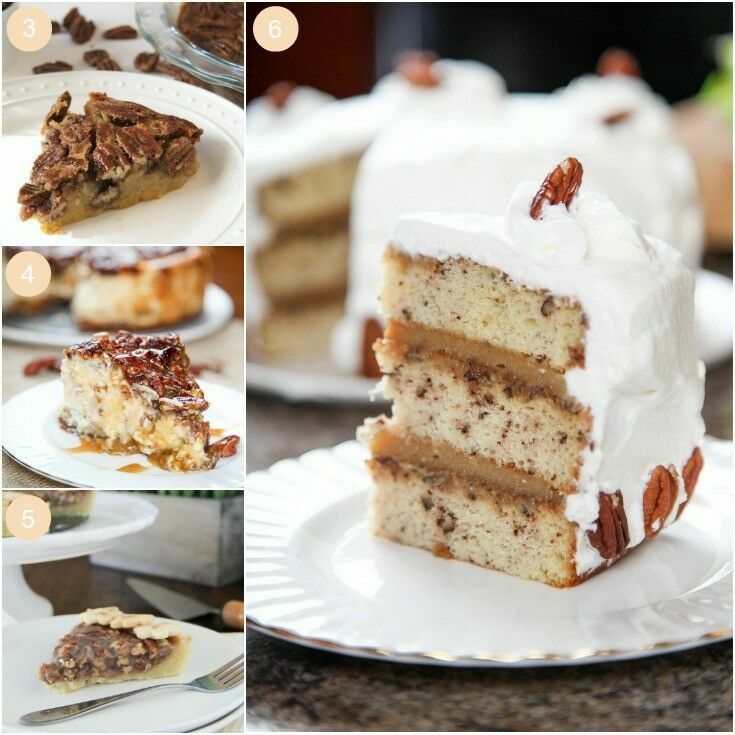 Repeat 4 times, for a total baking time of 3 hours. Roll the top of the bag down and place the whole thing on a large cookie sheet. Place the bag on the cookie sheet into the preheated oven. Make sure that the top of the bag is at least a few inches away from the top oven element. Bake for three hours, shaking the bag every 30 minutes. Baking times are very flexible. You can shake and mix it every 30-60 minutes and it will be fine. Just make sure to bake it for at least 3 hours. To make things easier when using the paper bag method, I prepare two bags - one full and one empty. Then every half hour, I just take the hot mixture out of the oven on the cookie sheet, pour it from the full bag to the empty one on the counter, and then put the (new) full one back in the oven. That way, the mix at the very bottom gets stirred, and I never have a clump of mix that doesn't get stirred. 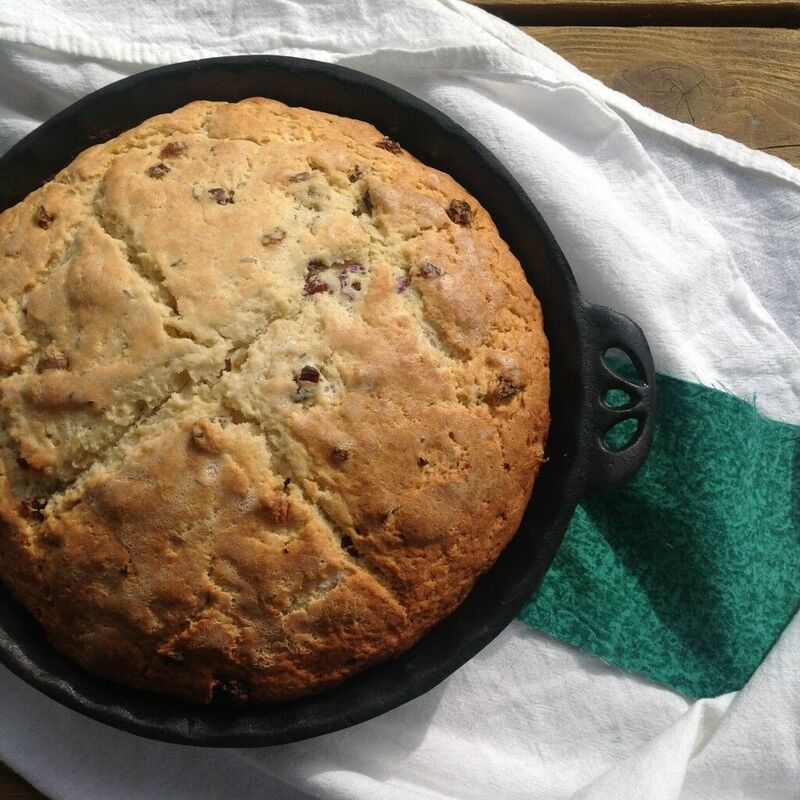 If you do a half-batch, you can easily make it in a large roasting pan. Most people use peanuts in this mixture, but Mr B doesn’t like them, so I use cashews instead. Do not leave the Liquid Smoke out! (Did you know that Liquid smoke really is made from smoke? Yep. Chips or sawdust from hardwoods such as hickory or mesquite are burned at high temperatures, and particles of the smoke are collected in condensers. The resulting liquid is concentrated down for a stronger flavor.) 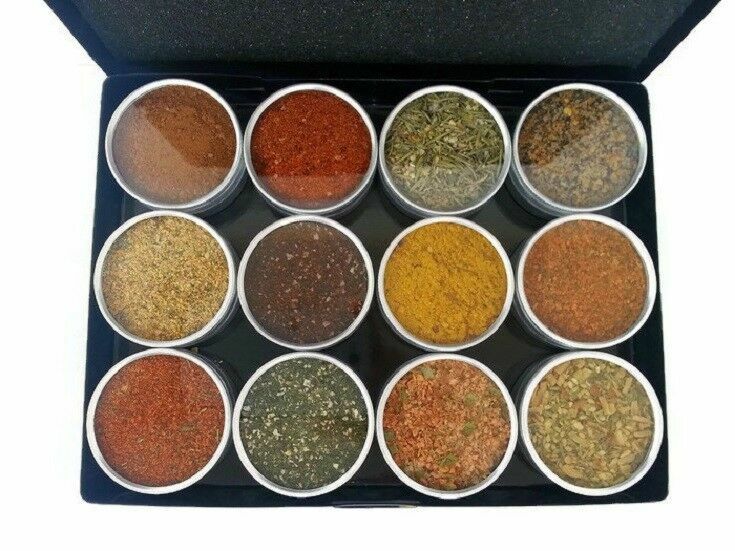 Anyway, it lasts forever, so even if you never use it for anything else, you can keep it in the back of your seasoning shelf and pull it out every year just for this. If there is a chance that vegetarians might be eating this, be sure to use a vegetarian Worcestershire Sauce. 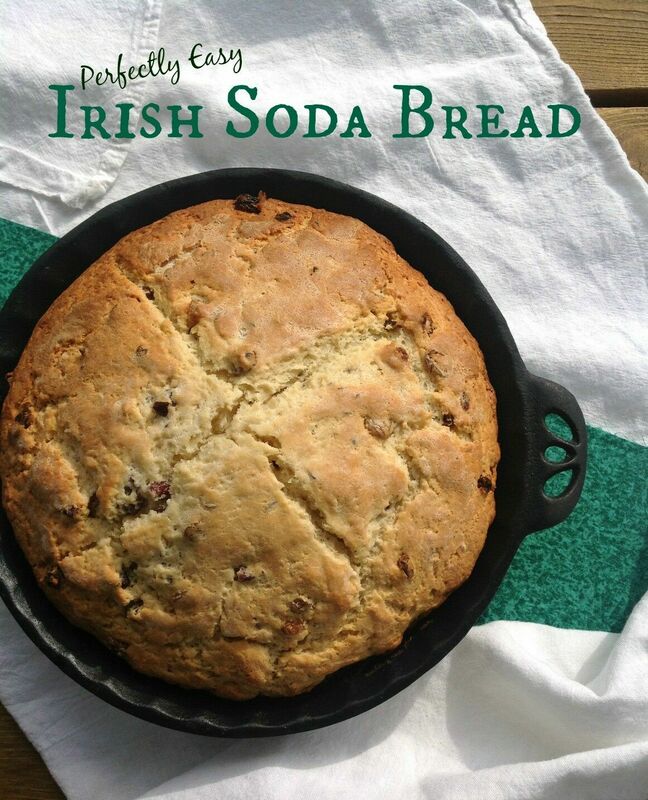 I’m sharing this recipe on the Weekend Potluck Recipe Linkup. 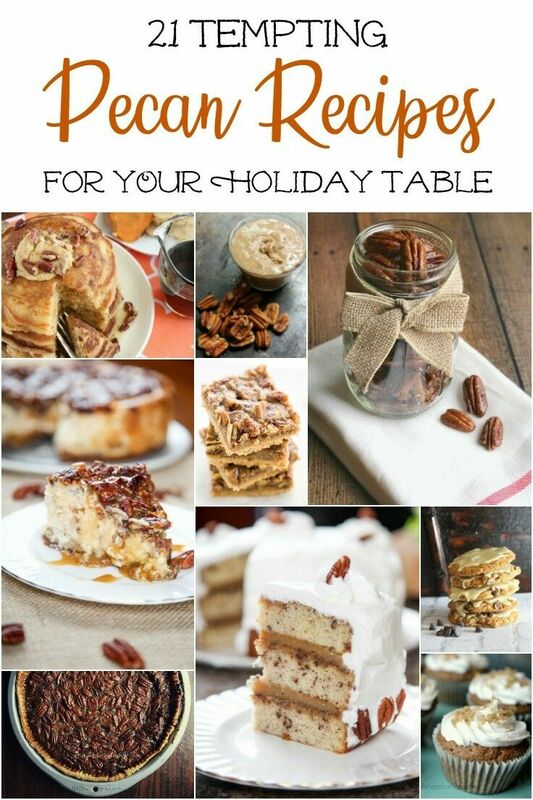 Check it out for more great Christmas recipes! 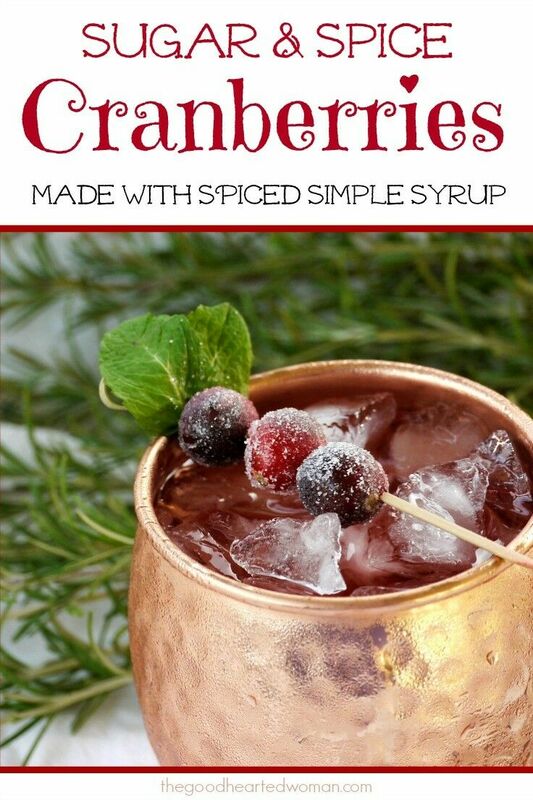 Warm spices pair perfectly with crisp cranberry vodka to create this festive, refreshing Spiced Cranberry Mule. Yep – life is good. And it’s even better when you have a delicious adult beverage to enjoy in the process. 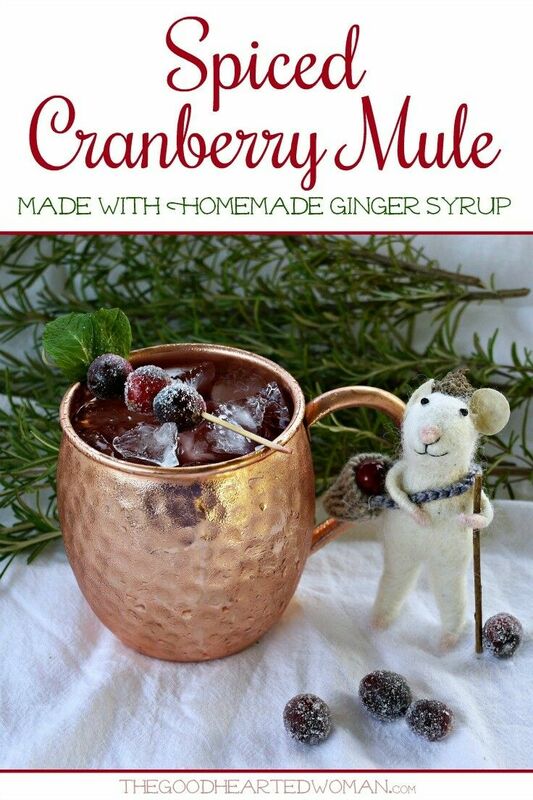 I’m loving these Spiced Cranberry Mules, a combination that Renée and I stirred up while we were experimenting with her Spiced Simple Syrup. 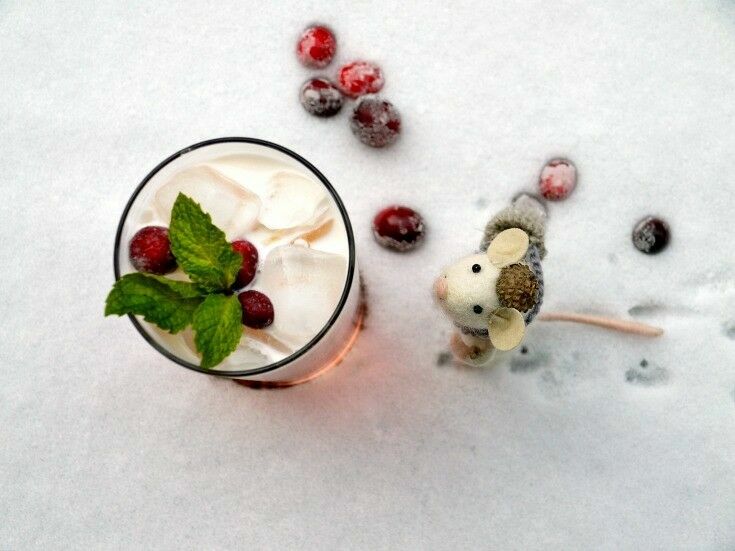 Warm spices like ginger and cinnamon pair perfectly with crisp cranberry vodka to create a festive and truly refreshing holiday treat. 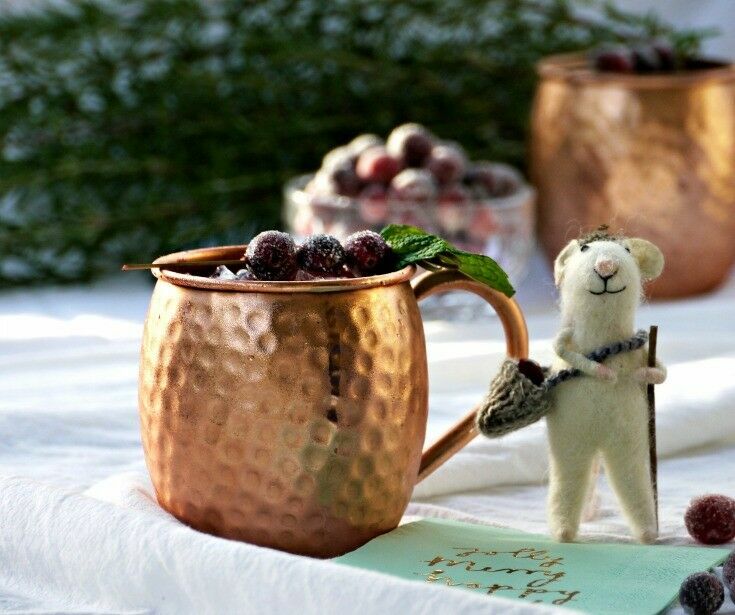 One of the reasons I love a good mule – besides the obvious fact that they are delicious – is that I get to use our Moscow Mule Mugs and not just because they make for a great presentation either. 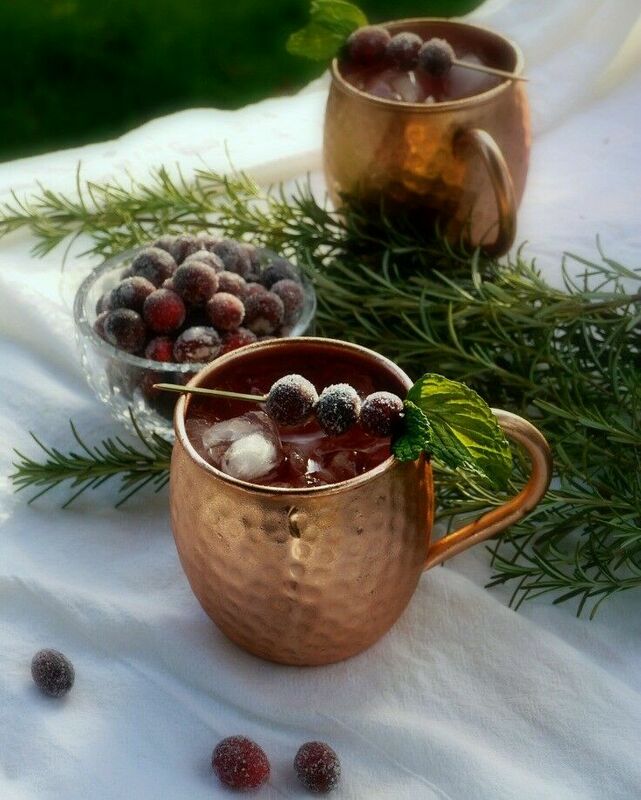 There are a couple of bonafide benefits to drinking your mule from a good copper mug. 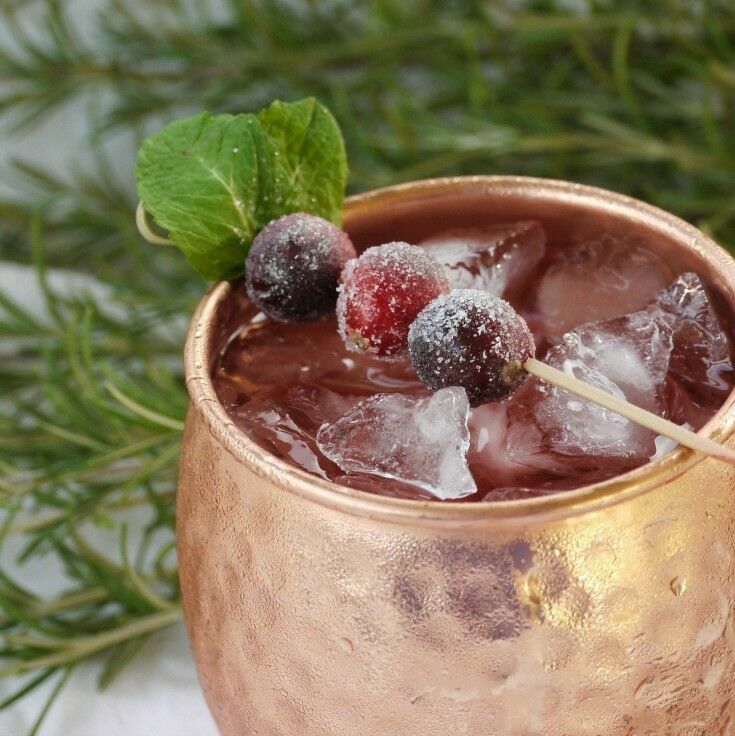 Not only do copper mugs keep drinks colder, but the copper seems to enhance to the flavor of the drinks as well. The difference isn’t something you can really put your finger on per-say, but in my experience the copper mugs seem to complement and heighten the flavors of the ginger and vodka, as well as whatever else you add. If you are the kind of person who can perceive the subtle differences between drinking soda or beer from a glass bottle versus aluminum can, you will likely notice a similar difference when you drink a mule in a copper mug. Drinking from copper vessels may also carry some impressive health benefits too, including antimicrobial, antioxidant, anti-cancer, and anti-inflammatory properties. If you don’t have your own mule mugs, consider making this the year that you give yourself a set . The mugs Renée and I have are very well-made of hammered solid copper, and have a nice, heavy feel in your hand. My only advice is that if you are going to get yourself some, don’t go cheap! Quality makes a big difference when it comes to mule mugs. Plus, if you get good ones, they’ll last forever. 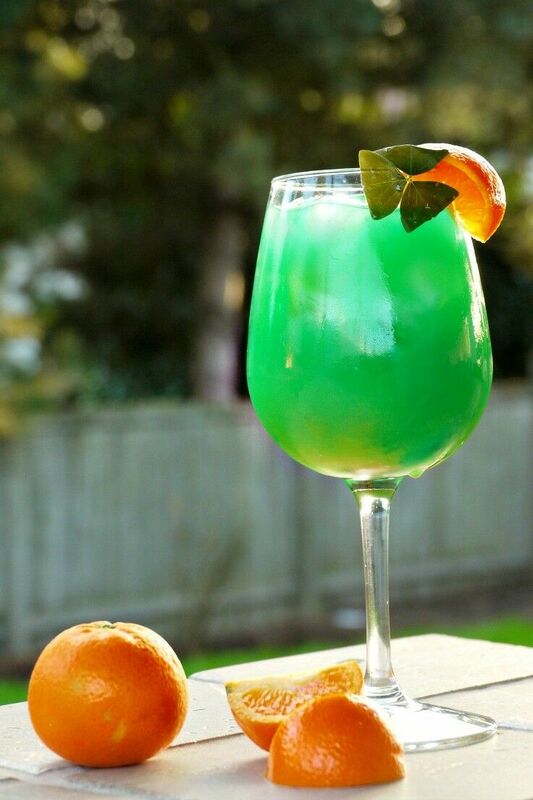 Muddle two large mint leaves int he bottom of a Moscow Mule mug or tumbler. Fill mug with ice. 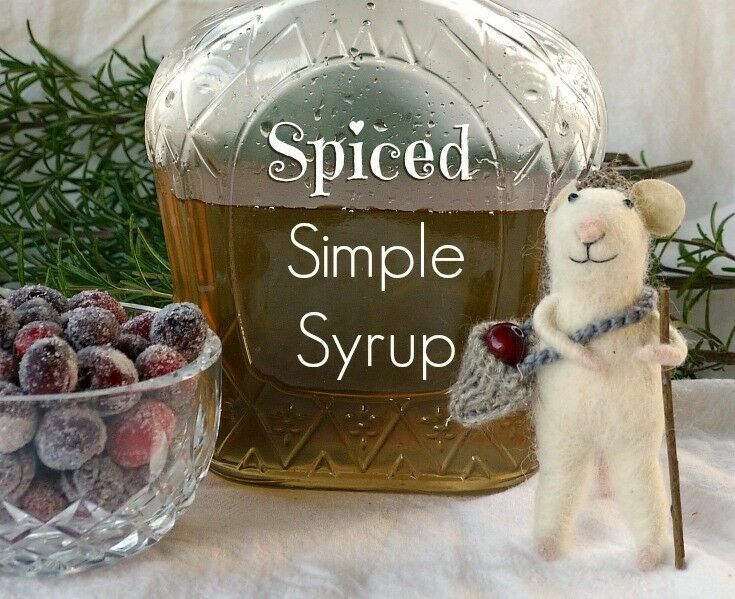 Pour in vodka, spiced simple syrup, and ginger ale. Stir gently. 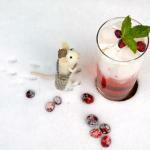 Garnish with Sugar & Spice Cranberries and mint leaves. We like to use spearmint leaves for this. 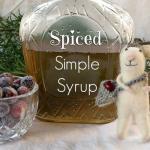 Renée’s Spiced Simple Syrup is a key ingredient in this cocktail. 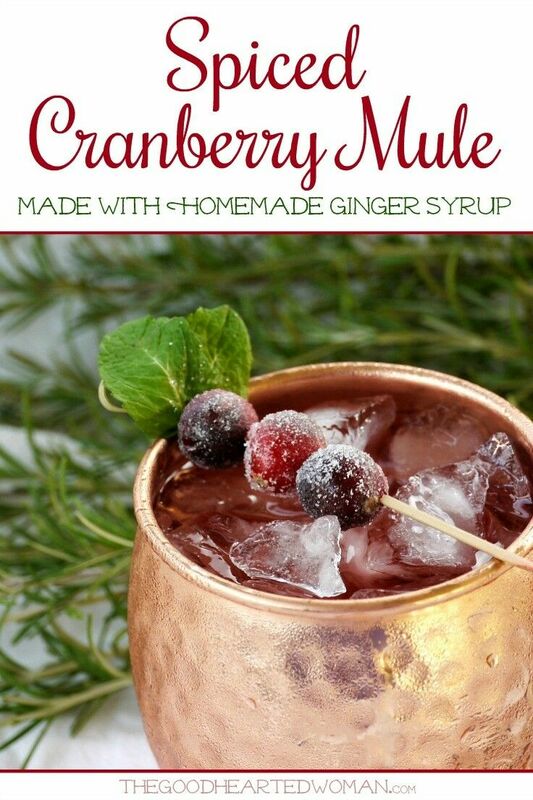 You can use a plain simple syrup if you have to, but the spiced syrup really does bring a special kick to this mule. If at all possible, set aside the extra five or ten extra minutes it takes to cook some up. 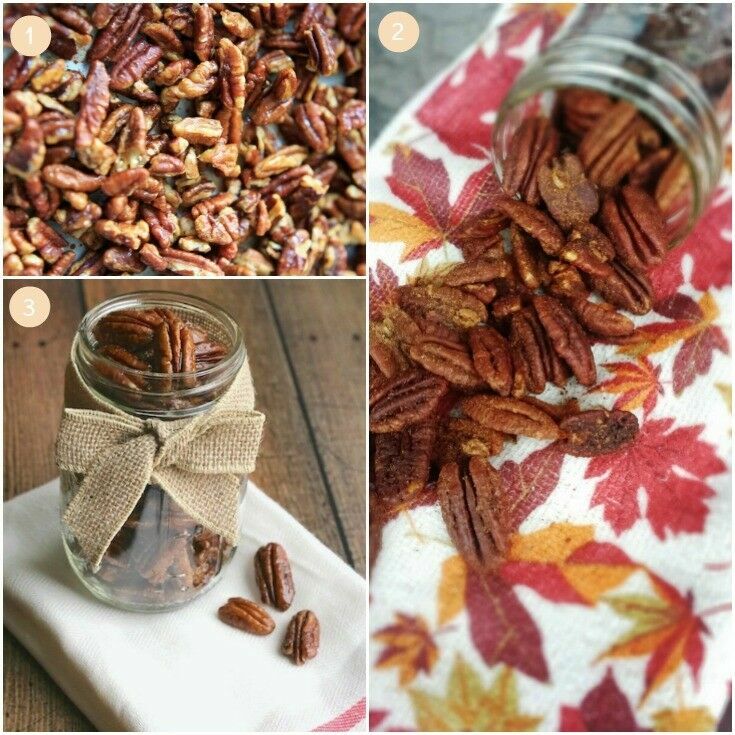 One batch should last you all holiday season. Check out our “Handmade Holiday Gift Guide” for the best in handmade gifts from some of our favorite Etsy sellers. This post contains affiliate links, but don’t worry – they won’t bite. 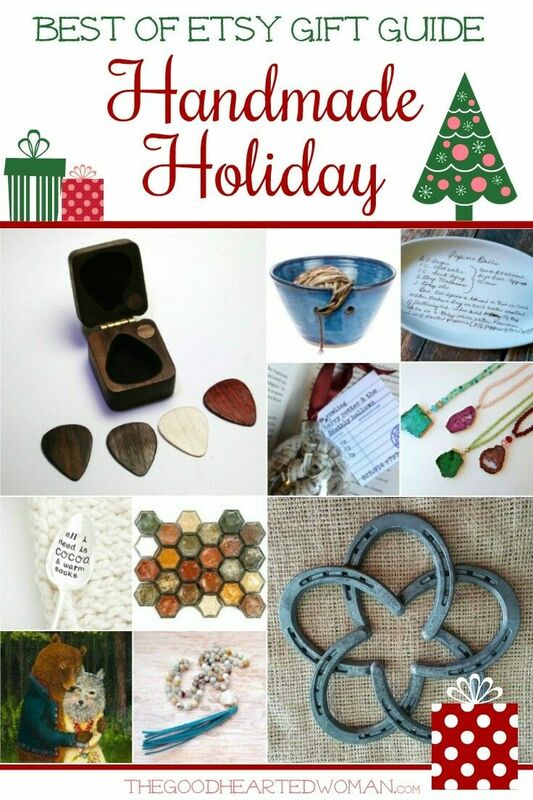 I’m so excited to present our “Handmade Holiday Gift Guide”! 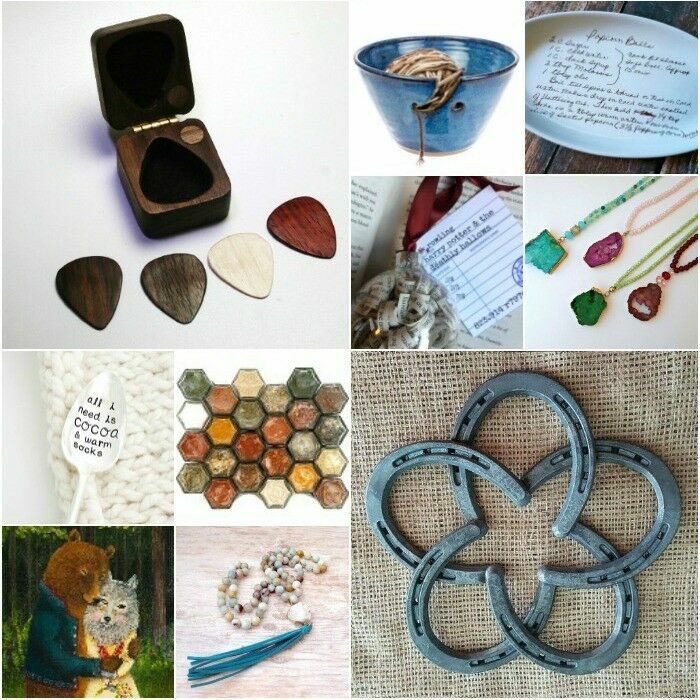 For the past month or so, I’ve been scouring Etsy to find the best in handmade gifts, and I think we’ve rounded up an amazing group of shops. This gift guide is made up of long-time favorites and brand new finds – Check it out – Etsy has something for everyone on your list! Individual shop descriptions provided by Etsy sellers. Star Lily Magic – Star Lily Magic offers needle-felted wool gifts for the inner child within – inspired by the Waldorf technique, the magic of childhood and the wonders of Mother Earth. Welcome to a world of angels, faeries, Mother Earth playscapes, mermaids, animal friends and more. 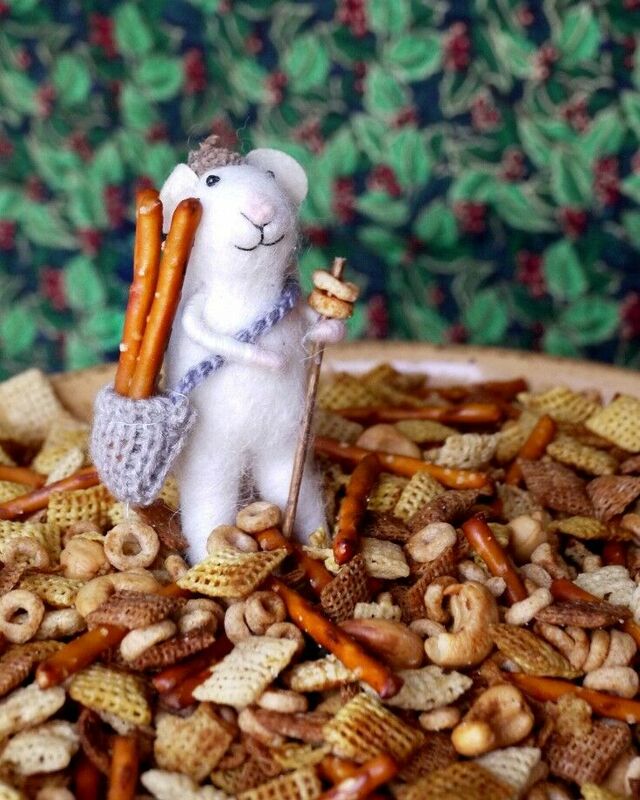 Artist and owner, Asheya Ragna, felts each unique creation with great love and mindfulness. She believes that the wool has a special ability to invoke presence and personality within her creations, making each one very special. Asheya has found a great reservoir of healing from her connection with Mother Earth. 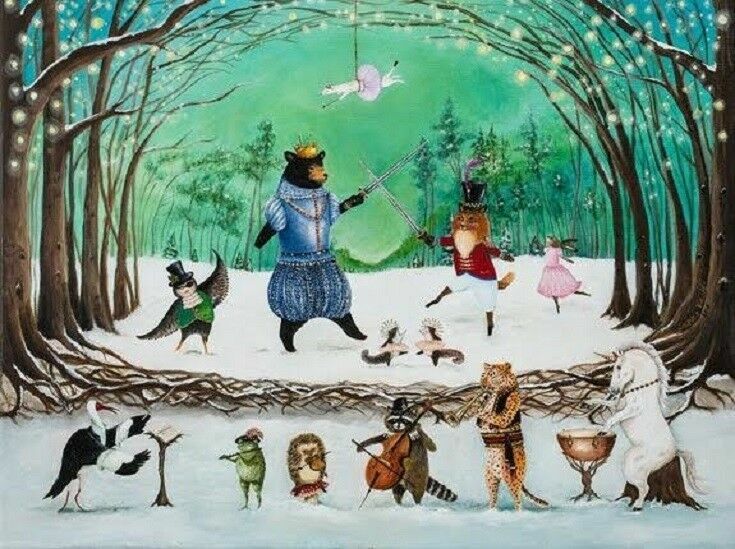 animals, mermaids, angels & faeries. 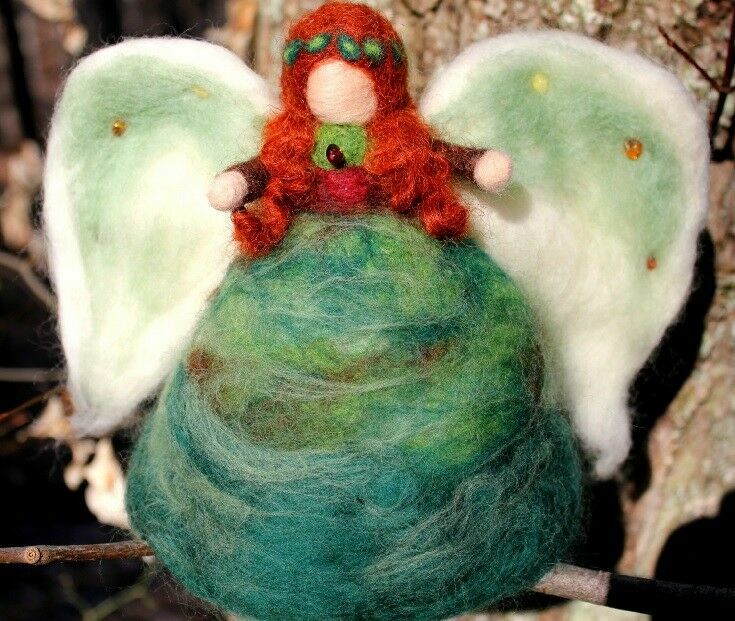 Her intention is to help people – adults and children alike – to connect with these powerful healing energies through the wool figures that come into being through her visions, her hands and her heart.! GHW Notes: We have purchased a number of items from Star Lily Magic, and every one has been absolutely beautiful! AMP It Up Designs – AMPitup Designs is owned by a food scientist turned graphic designer and features simple and classic designs for the everyday family. 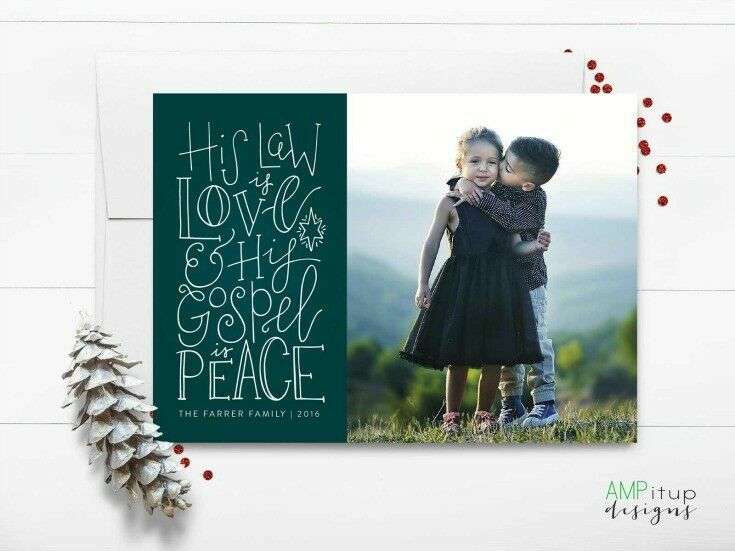 A wide variety of Amy’s award-winning holiday photo card designs are available this year, along with prints that make perfect gifts or home decor. Printable or printed options are available for every product to fit your budget or life demands. 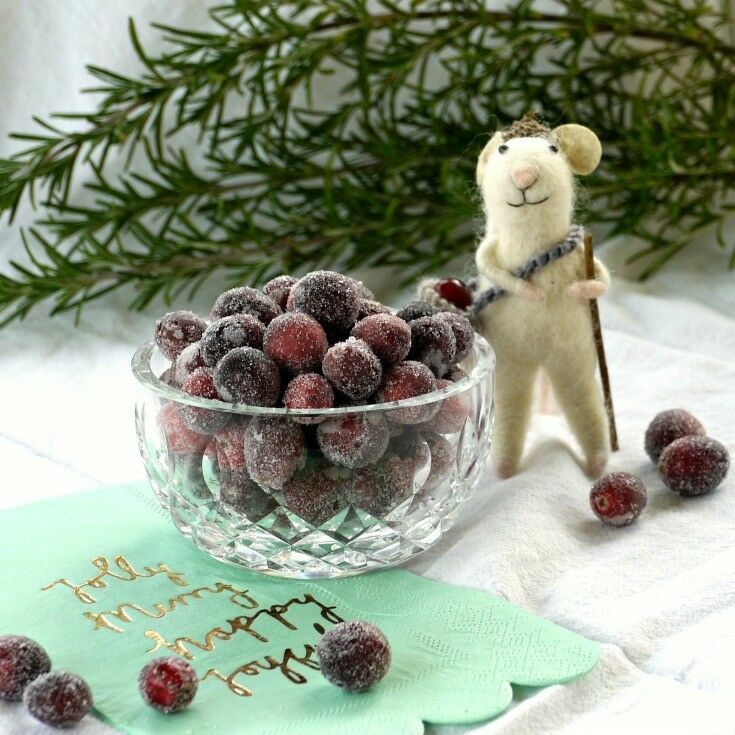 GHW Notes: I’m proud to note that I’ve known this particular Etsy seller since she was three months old! 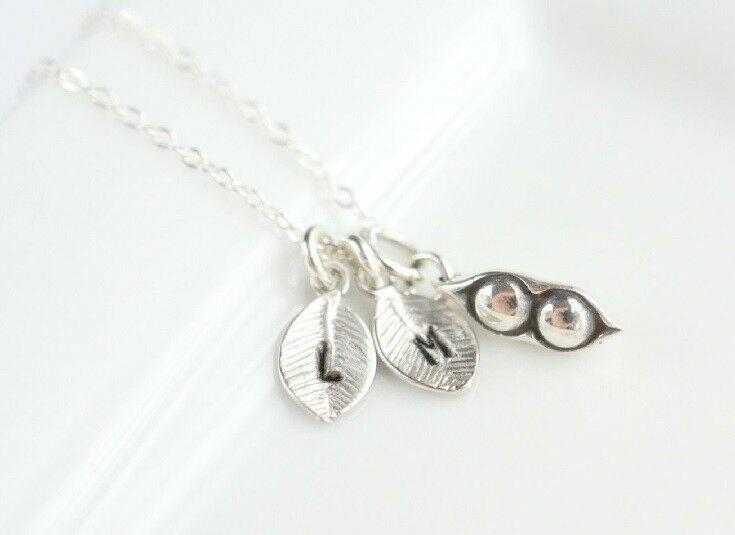 Amy is as kind as she is talented, and she is coming up with new designs every day. You can find many of her card designs now featured at Target. 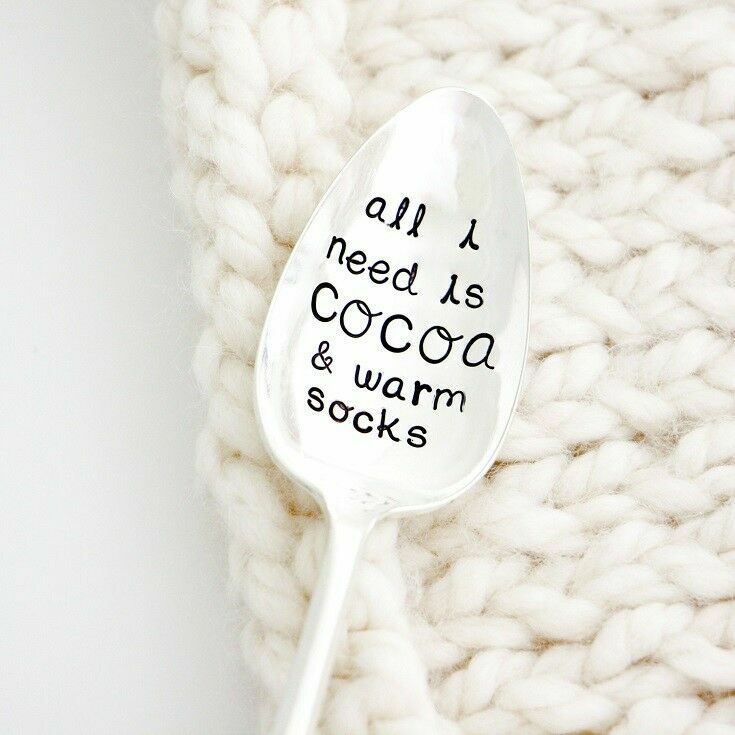 Milk & Honey Luxuries – Premium Hand Stamped Vintage Silverware and Unique Gifts. As seen in Nordstrom, People Magazine, The Today Show, The Ellen DeGeneres Show, Martha Stewart American Made, Whole Food Market, The Knot, Anthropologie, FOOD52, and People Style Watch Magazine. 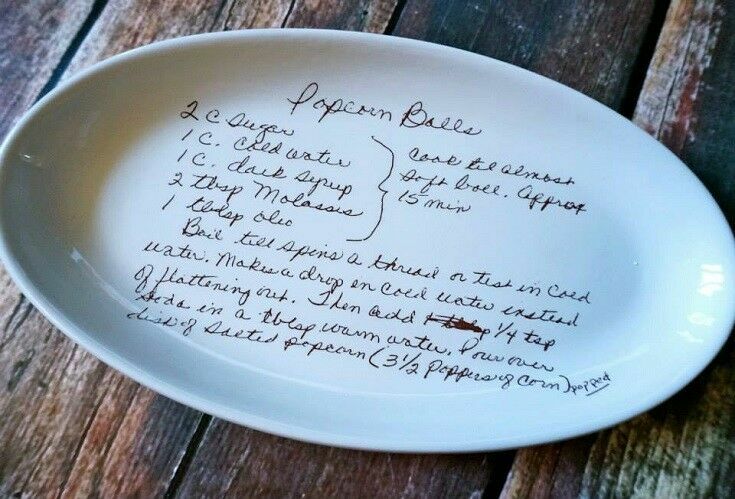 Prairie Hills Pottery – Custom Recipe Personalized Gifts, Wedding gift Ideas. 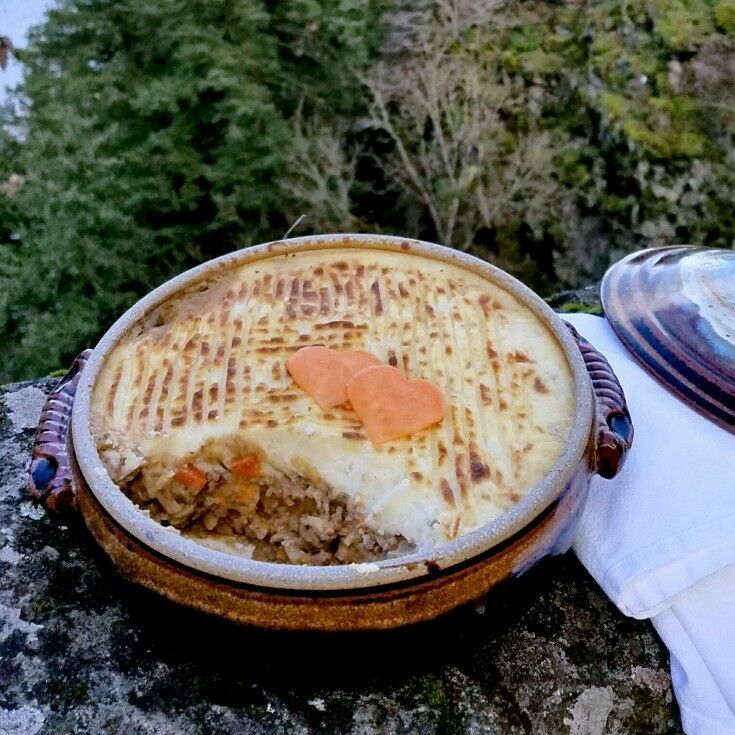 GHW Notes: How great would it be to have one of Grandma’s recipes printed on a platter?!? 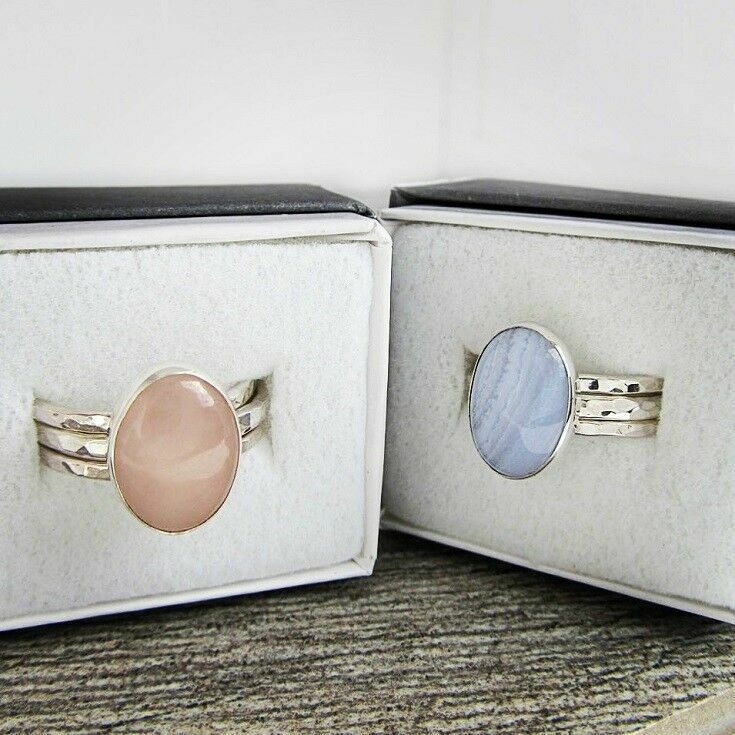 Belleza Mia – Find personalized jewelry, mothers birthstone jewelry as well as everyday, minimalist pieces. Beads & Knots by Nina – In my shop, Beads And Knots, you will find only handmade jewelry. 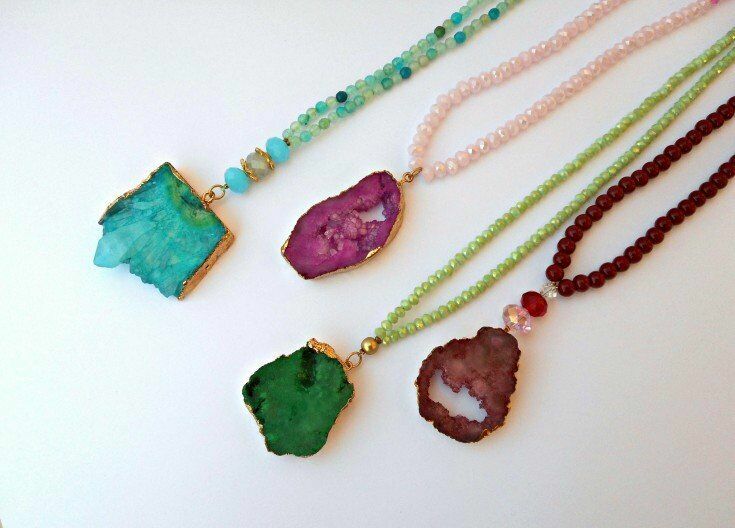 Natural stone jewelry, semi-precious gemstones, pearl necklaces and crystal beaded jewelry. Everything is made by me and is mainly one of a kind. I love choosing my material by their fascinating colors and shapes. 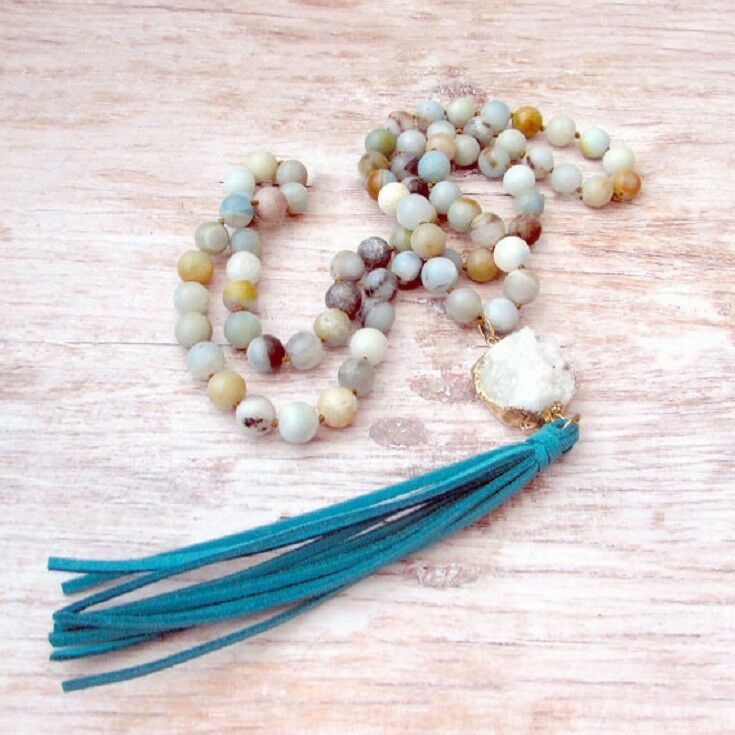 Especially gemstones, carrying a great mystery locked inside their crystal, can give impressive results. Agate, jade, amethyst, citrine, lapis lazuli, to name a few, are stones of protection, support and encouragement, elevating thoughts and promoting optimism among other things. I am sure that the energy transmitted by the stones, finally reaches you enriched with my energy and love when I make them. 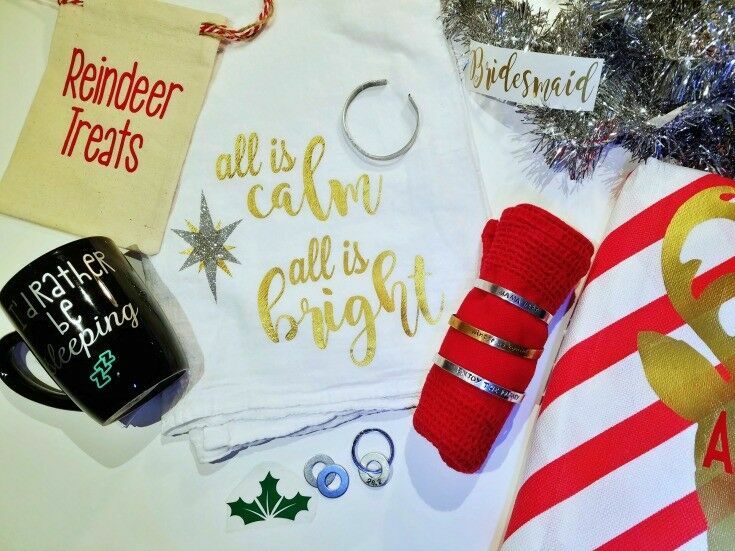 Branded by Beazer – Branded by Beazer turns your best ideas into real, everyday things: a handstamped bracelet with your favorite quote, a custom dish towel, or even a witty mug. In this wild world, not one single person is the same; we all have unique traits that make us who we are. Branded by Beazer wants to help bring that individuality to life. 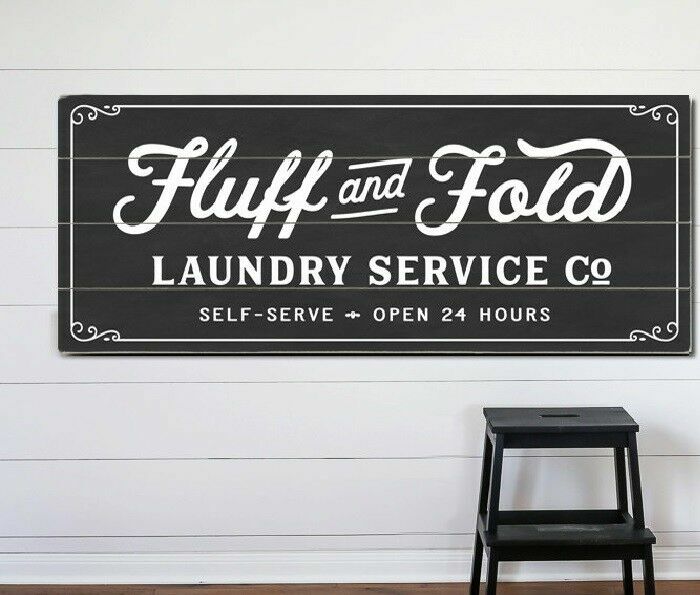 Offering a wide range of customized decals, iron-on prints, décor, clothing and jewelry — each individually handmade with love — there is something to make YOU shine. 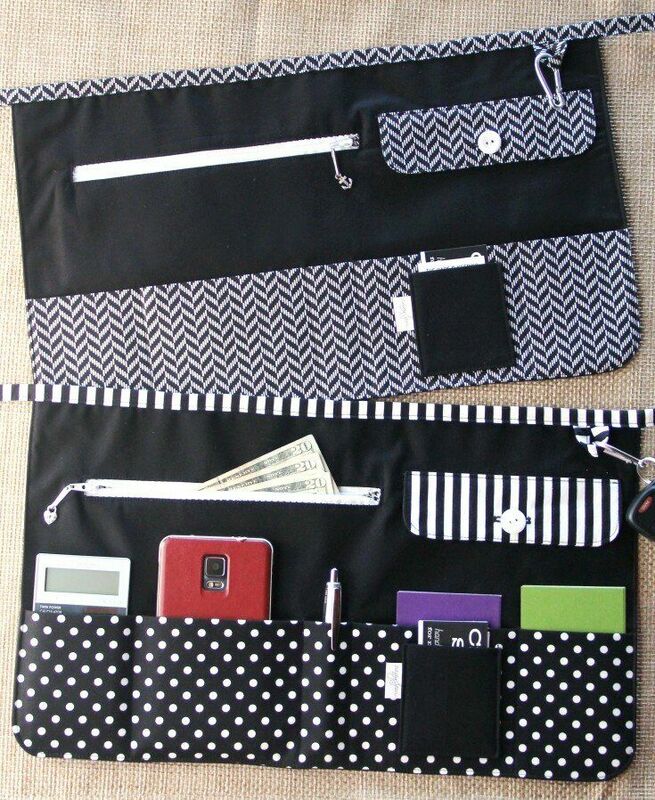 Crafty Staci – My shop focuses on handmade accessories for makers, artists, photographers, teachers and people on the go. I happily fulfill custom orders for every item I make. I enjoy mixing fabrics, and I love how excited my customers get that they can design an item that reflects their personality. After making thousands of vendor aprons, coffee sleeves, camera straps, lens cap holders, memory card wallets and other accessories, it still makes me happy to see the final finished item and hear my customer talk about how she’s using it. Cut. Color. 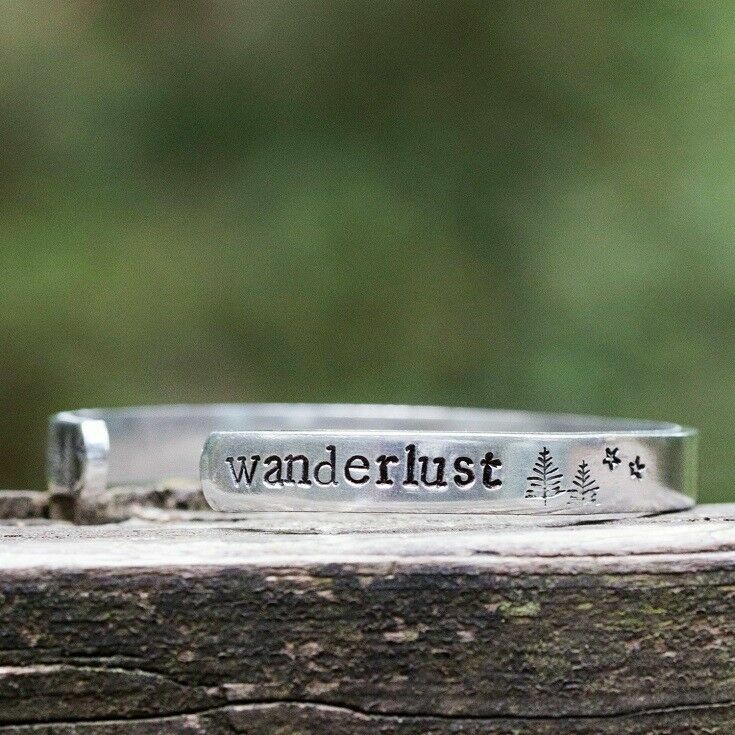 Create.– We specialize in handmade personalized gifts and custom stamped jewelry. 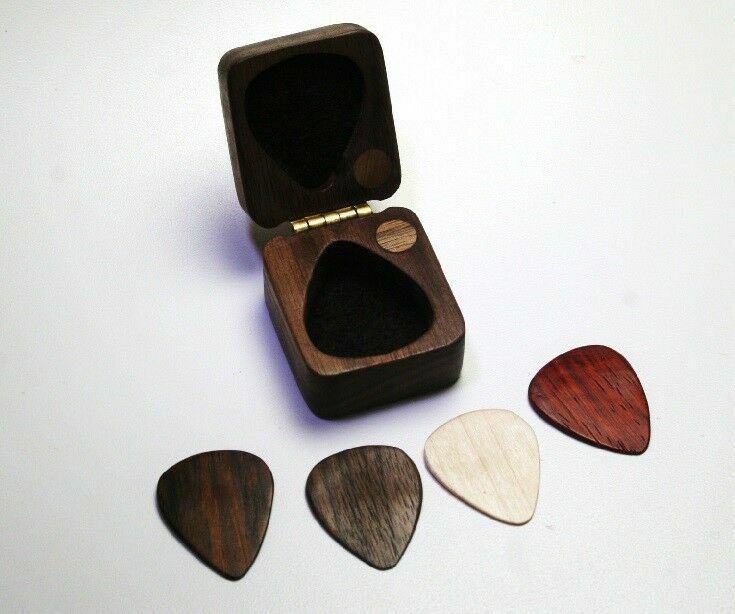 debandf – Guitar Pick Holders for the Perfect Guitar Player Gift, wonderful for any occasion. Plenty of time for your custom engraved Guitar pick box to be ready for the holidays. Jahna Vashti – Fine art originals, canvas wraps, cards, prints, and calendars from Portland artist. Julia Paris Jewelry – Julia Paris Jewelry was born as a creative outlet and an avenue to fulfill a lifelong dream of owning a small business. Every piece of our jewelry starts out as raw materials which are meticulously crafted in our home based studio. These materials form special and unique pieces that express my vision in the hope they remind the wearer that there is beauty in every little part of their lives. The items in our shop are intended to evoke happiness and joy when they are gifted to loved ones and we ensure they can be tailored to suit the needs of the most discerning gift receiver. We strive to use high quality materials and hone our skills to ensure every creation is of a high standard and will withstand the test of time. 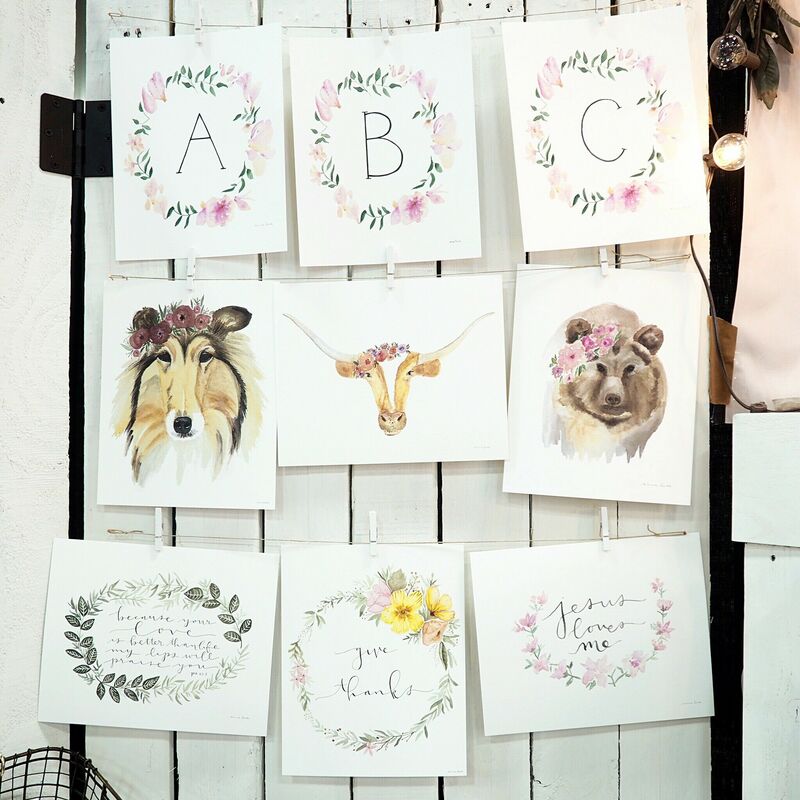 Made by Anna Liisa – I create watercolor prints, cards, notepads, and calendars inspired by nature. I love to spend time outdoors and I hope to express that in my art. Currently I’m based out of San Antonio, Texas. Occasionally I try to add some Texas flare to my work. I also love to create custom pieces, such as wedding signs, invitations, birth announcements, anniversary gifts, and more. Art is my passion and it gives me joy to share with others. 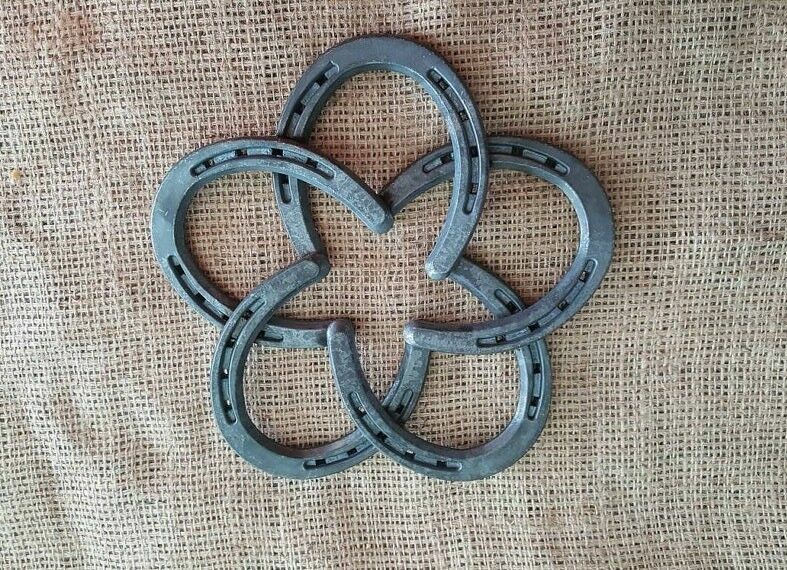 Pronghorn Ironworks – Pronghorn Ironworks is owned and operated by Christopher Trautmann. Christopher is a Professional Engineer by trade but spends his free time in his garage creating all types of various metalwork. Whether it be trying his hand at a handcrafted piece of furniture, such as a bed frame, or simply making various shaped dinner bells. Raziela Designs – An eclectic mix of old world charm and modern beats, we offer one of a kind jewelry for the modern woman. Upcycled Library – Real-life librarian Kelly Liberona upcycles used books into jewelry, stationery, and home decor in the eco-friendly, library-themed shop, Upcycled Library. 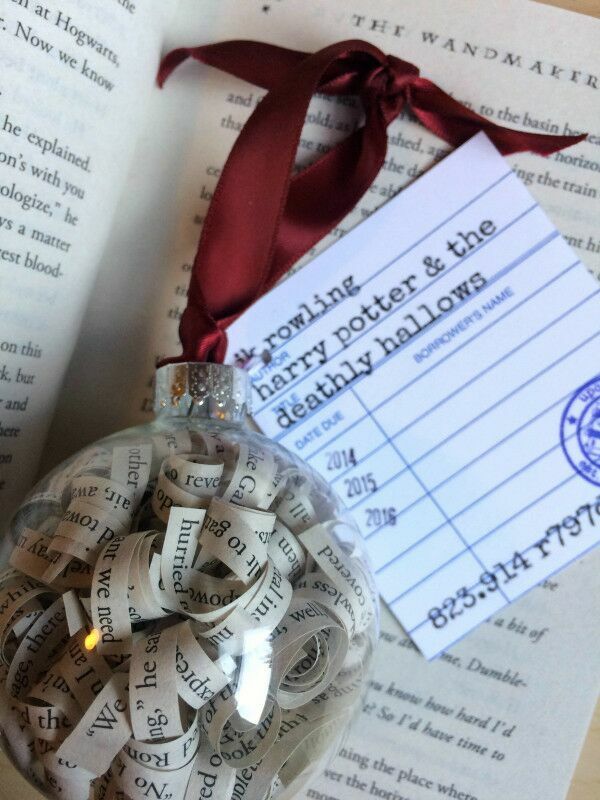 Find the perfect gift for the literature lover on your list! Want more ideas? Check out the Etsy Editor’s Picks for tons of great Etsy finds! Forget the green beer! 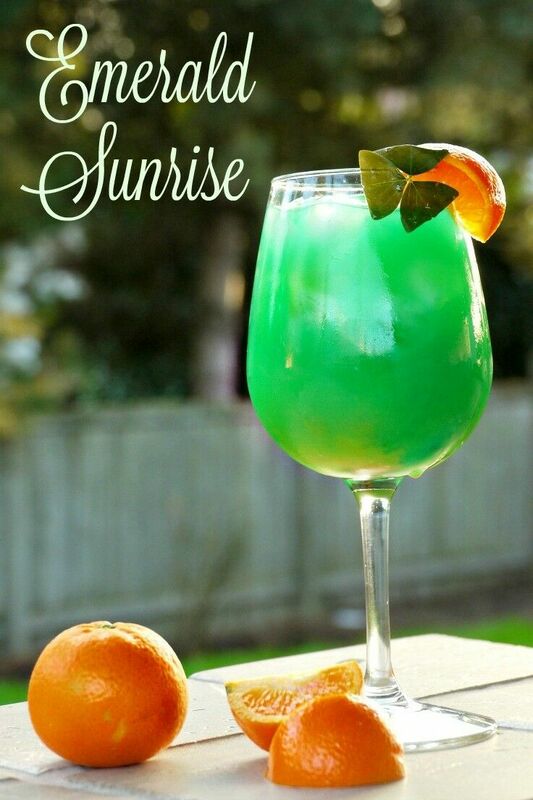 Celebrate St. Patrick’s Day in style with this beautiful spin on a Tequila Sunrise. Anyway, all this happened just after St Patrick’s Day, which thanks to my wife is a very big deal around our house, and when I saw that tall glass of green, I had a flash of inspiration! 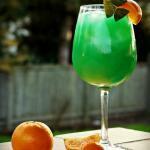 I garnished it with a mandarin slice, and there I had the Irish flag! Renée even added a shamrock to make it official. So here it is: my contribution to what my lovely wife calls the “perpetuation of negative cultural stereotypes” – and what I like to call my Emerald Sunrise. Enjoy! No Alcohol for you? 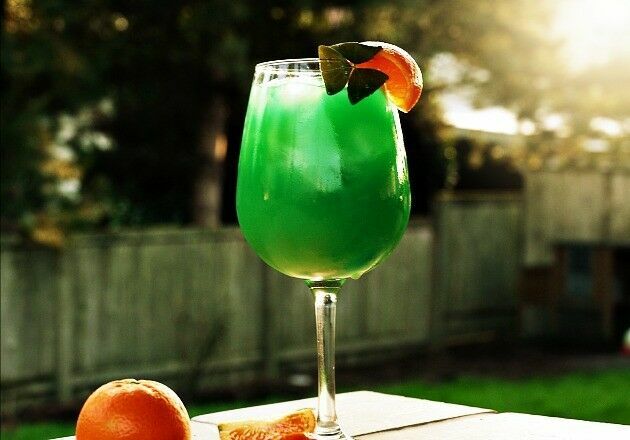 Mix up a kid-friendly St Pat’s Day beverage by combining three parts orange juice with one part lemon-lime soda, and then stir in a few drops of blue food coloring. First things first. YES! Shamrocks are edible, and they make a lovely garnish. (I just felt like we needed to get that out of the way.) So are false shamrocks, better known as sorrel. Shamrocks have three leaves (not four) and were used by St Patrick to teach the concept of the Holy Trinity to the Irish people. Like the Irish people themselves, shamrocks are one of those plants that survive under very difficult circumstances, which is why there is a pot of them (shamrocks, not Irish people) thriving on my kitchen windowsill year-round. 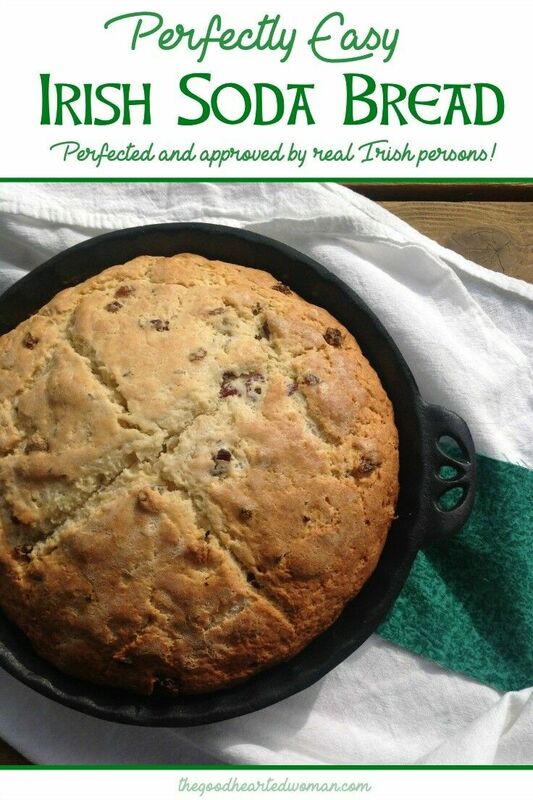 Finally, if you are at all interested in an actual Irish person’s perspective on US traditions visa-vie St. Patrick’s Day, I encourage you to check out this post – Surviving St. Patrick’s Day in America [Sass & Shamrocks]. Highlights include meeting Patrick’s forgotten sister Patty, and learning the proper response to the traditional Irish greeting, “Ciúnas bothar cailín bainne!” Check it out!